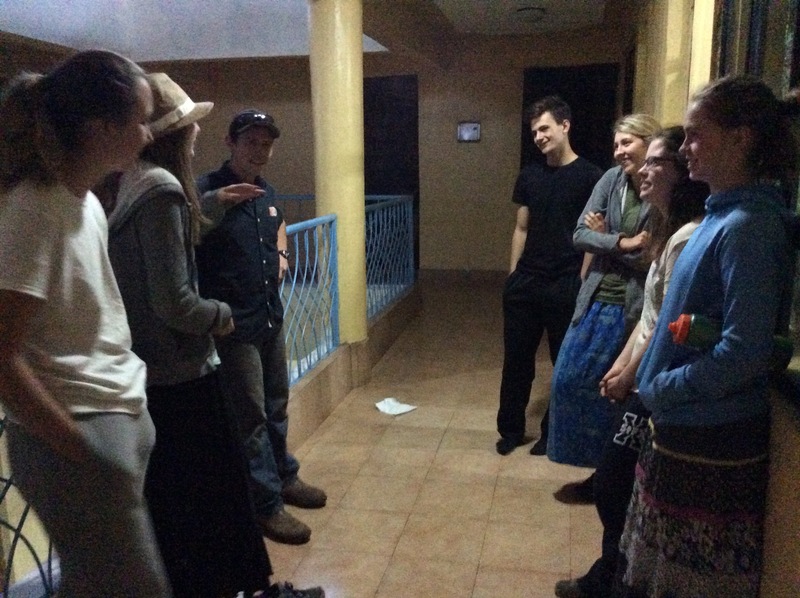 We have said our final goodbyes in Meru and are en route to Nairobi. We have stopped to visit Dr. Shauna Richards, from the Atlantic Veterinary College. 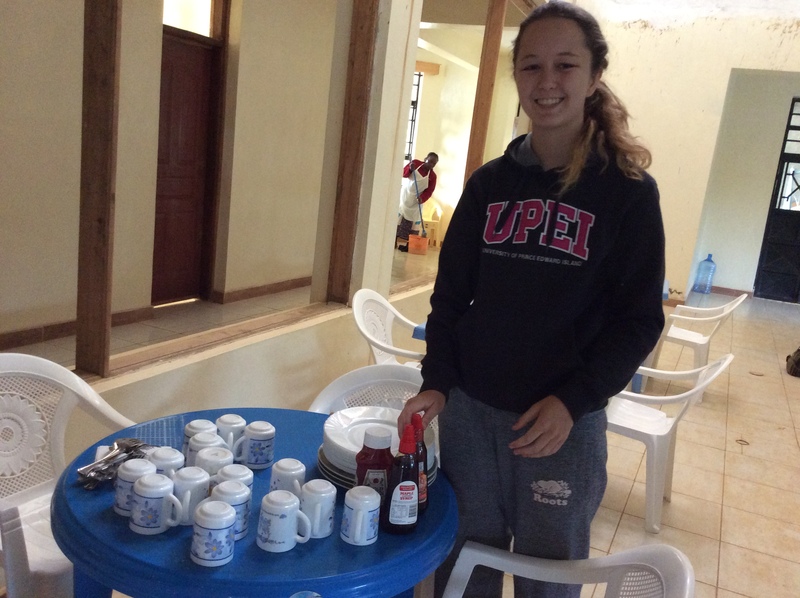 We had a tour of the shamba she is staying at, including the coffee operation. Now the youth are heading to the Wakulima Dairy for a tour. 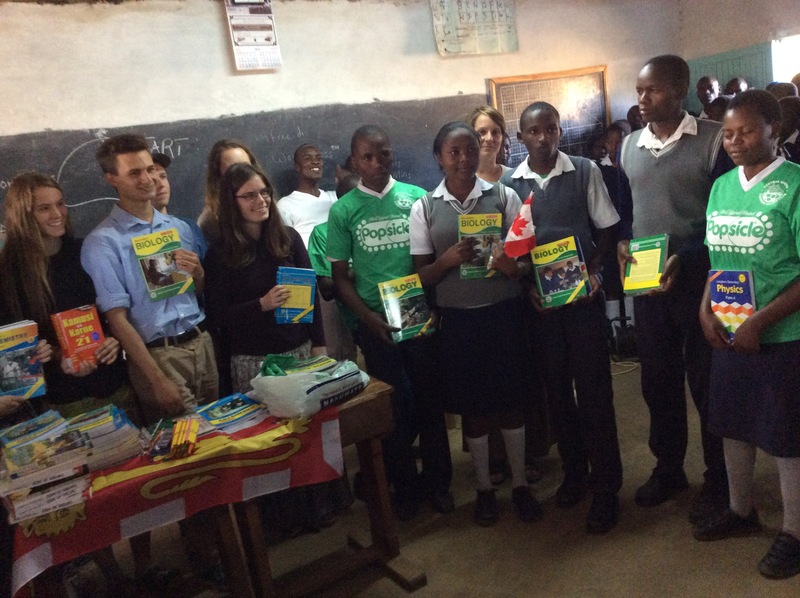 Carolyn and I are going to a nearby school to meet Lucy Wachira, who did the translation on Callum’s book for me. 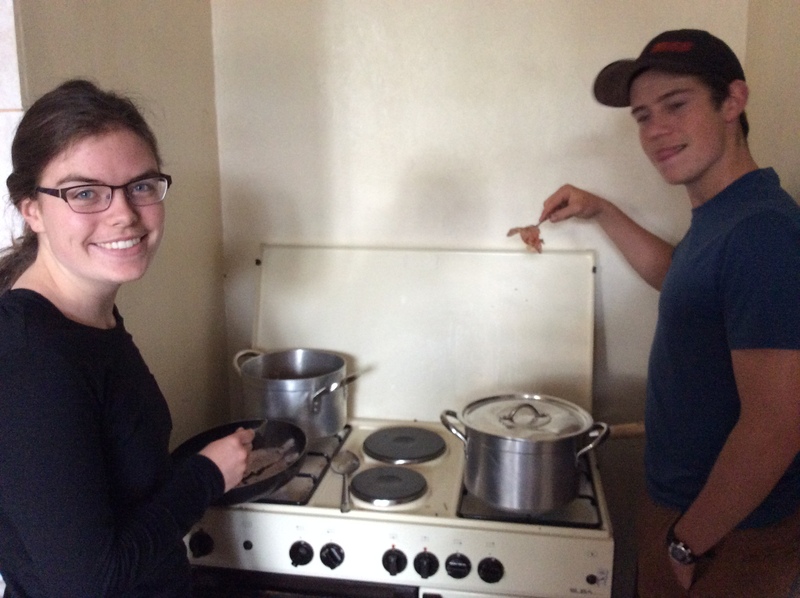 We also had a fantastic lunch here, courtesy of Peter’s friend, cook Samuel. 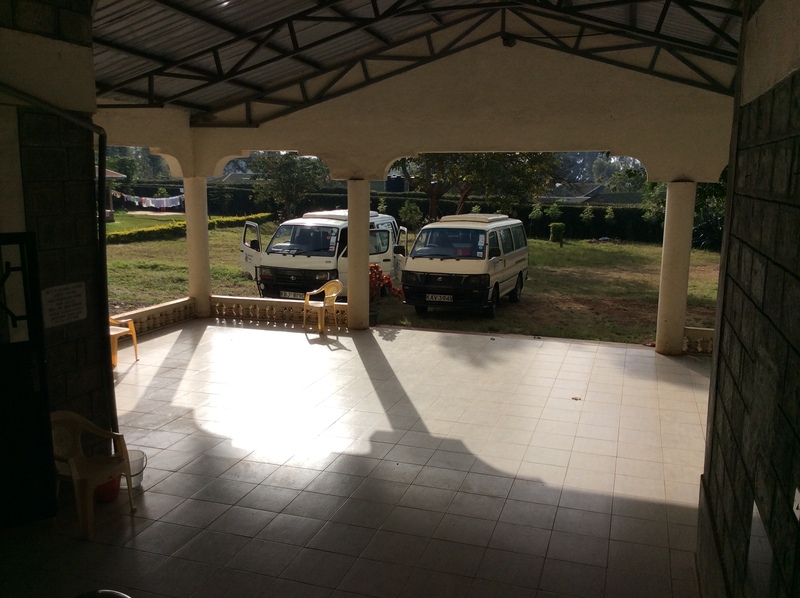 Then we are climbing back into the Combis for our last stretch of travel through Kenya. Our flight leaves Kenyatta Airport at 10:45. I may not be able to update again until Brussels or even Montreal. 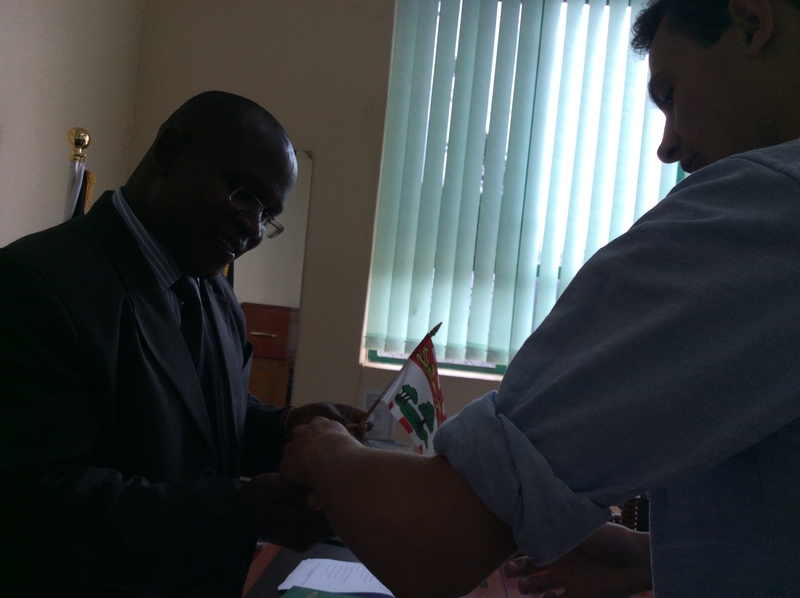 Today was a crash course in the government structure of Meru County! 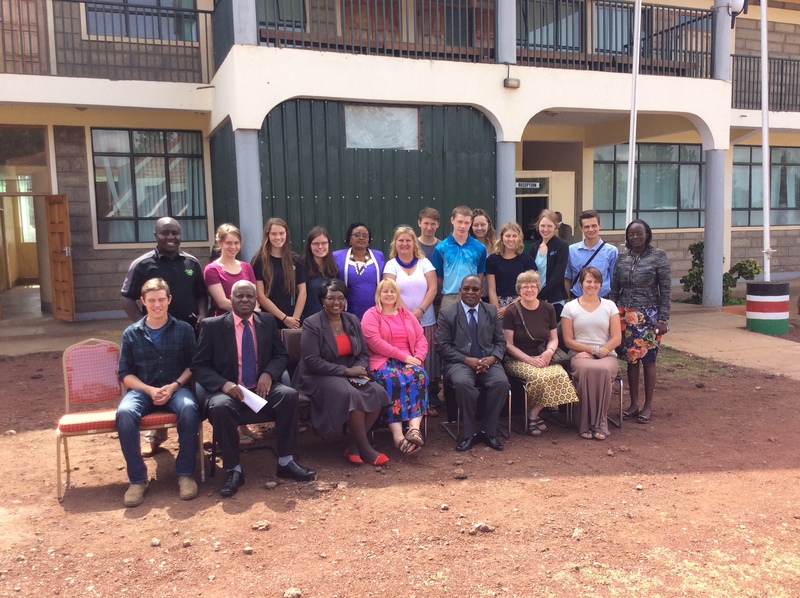 We travelled to the current headquarters of the county assembly, near Kenya Methodist University. Their real home is in the downtown area but it is under renovations. Everything is still fairly new with this government. The current system only started in 2010, after the last general election where Uhuru Kenyatta was elected as president. Our first meeting of the day was with the Speaker of the Assembly. 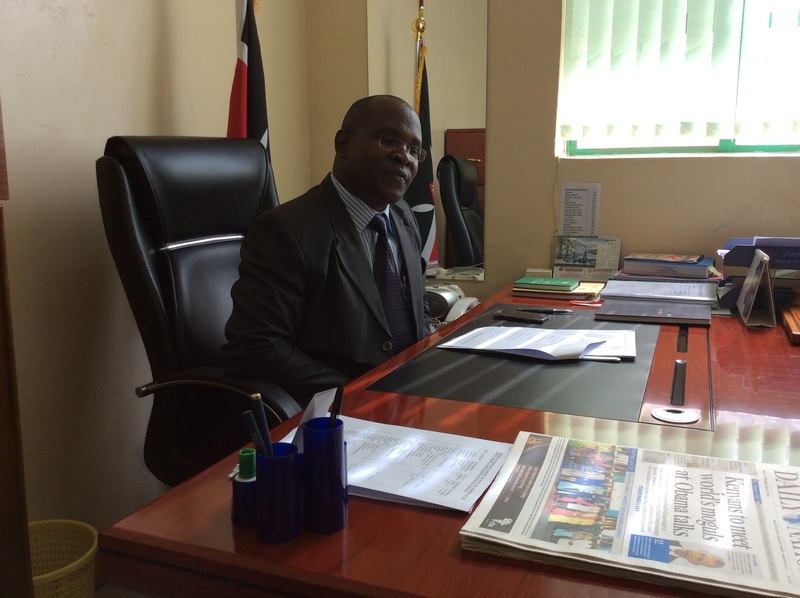 We filled his office and spent about 45 minutes talking about Canada and Kenya. He explained that the Assembly sits Tuesday afternoon, Wednesday morning and afternoon and Thursday afternoon, except for August, January and April (I hope I have the months correct!) He said that the national government is the same. 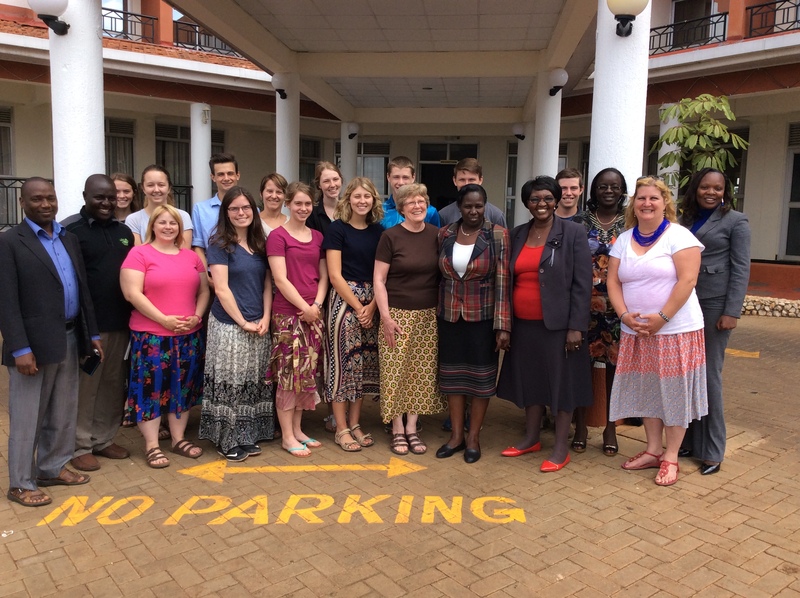 Our friend, Jennifer Murogocho, is one of 69 members of the County Assembly. 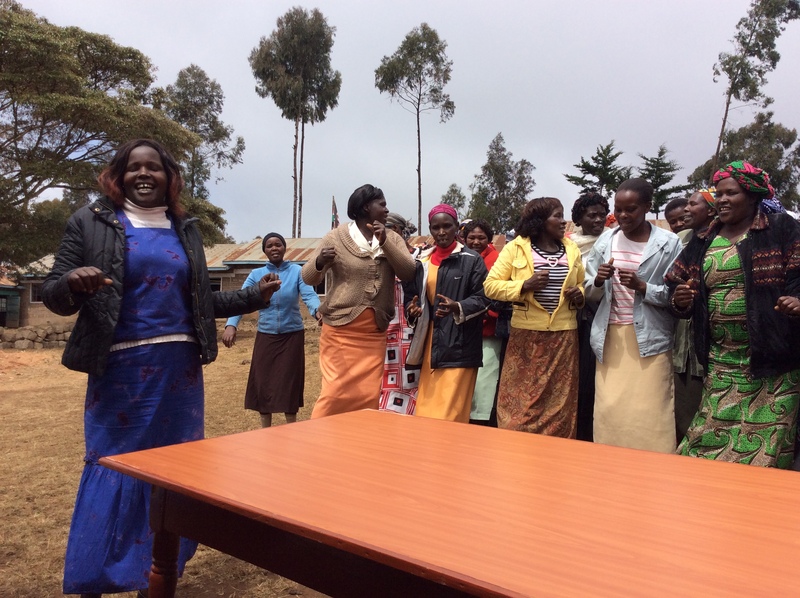 Under the Kenya constitution, at least one-third of the members have to be women. (I like that!) Jennifer is on the Education and the Budget Committee. She is one busy person! We are very lucky that she finds the time she does to work with us at Farmers Helping Farmers. What’s interesting is that the members we have met from the Meru County Assembly would like to build a relationship with the P.E.I. assembly, and come to Canada to learn from them. One of the areas they are most interested in is our waste management system – Waste Watch! 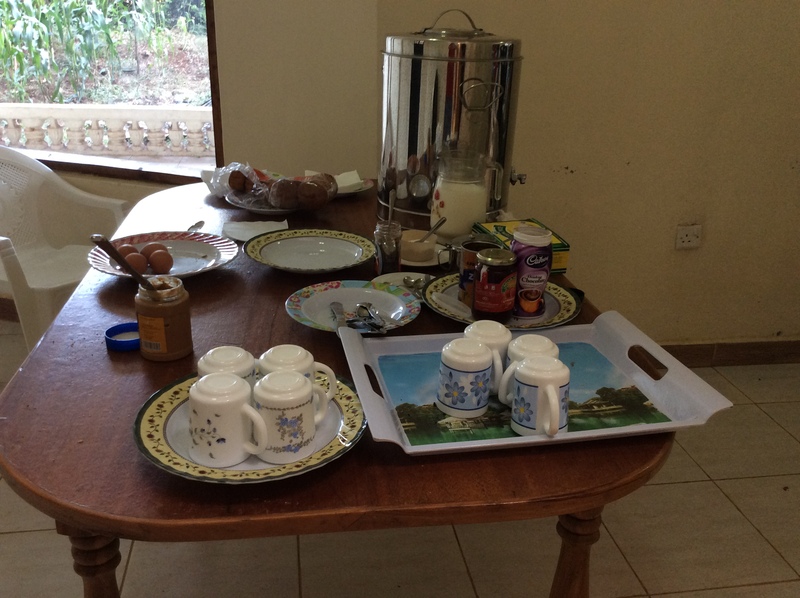 Salome and Mwendda mentioned this as well…how much they loved the way we sort our waste. It’s a real issue in Kenya, where there is no real garbage system whatsoever. So who knows? Perhaps we will have some Kenyan visitors someday soon. Though we have suggested to them that they don’t want to visit during the winter! 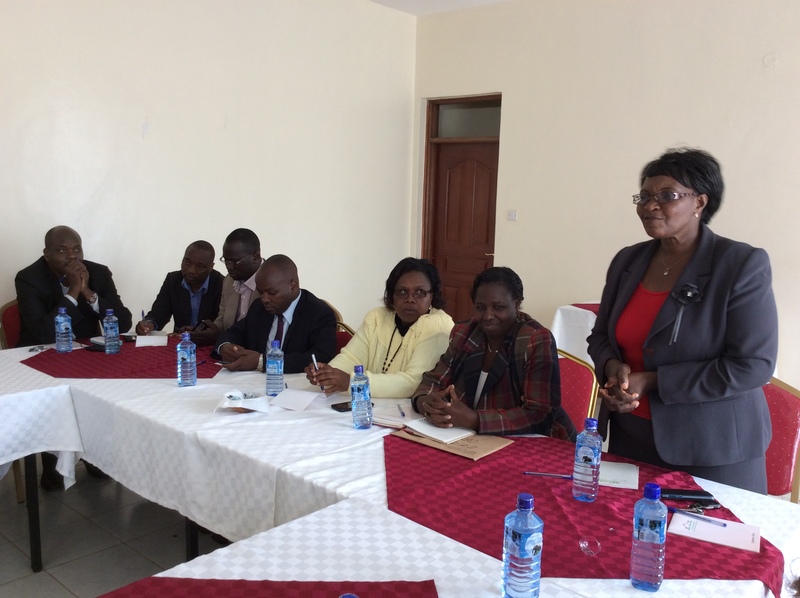 Our second meeting was at a hotel near the Nakumatt where we sat at a horseshoe-shaped table, with the Meru county officials at one end. 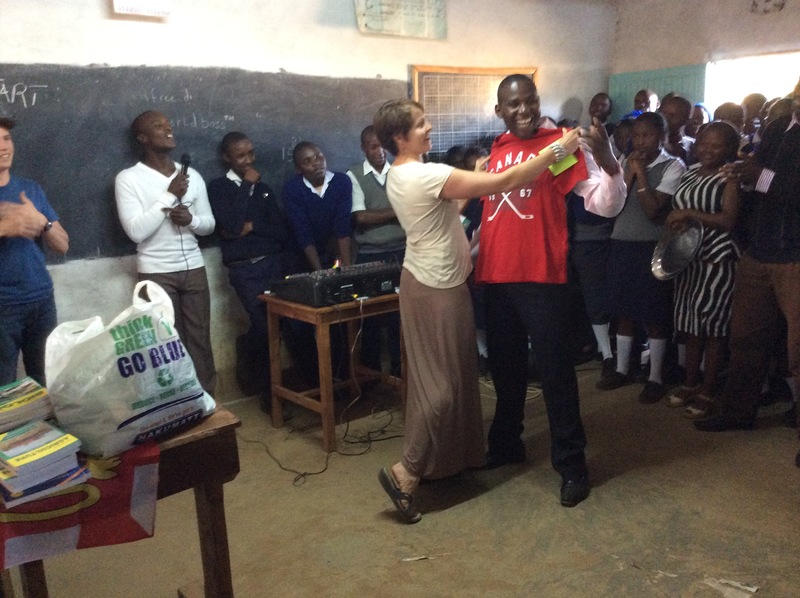 Jennifer had invited the Minister of Education for the county, who also brought her director. We were also joined by a couple of other Members, including the Majority Leader, who is elected by the members from the party with the majority. Jennifer gave them a great history of the work of Farmers Helping Farmers. The Minister of Education then spoke very eloquently about the priorities of her government. I wasn’t aware of the Kenya government’s Vision 2030. The dream is to become a “middle level” industrialized country by then, with a skilled and educated workforce, lifting their people out of poverty. I think that’s an admirable vision and I look forward to seeing what the country can achieve. 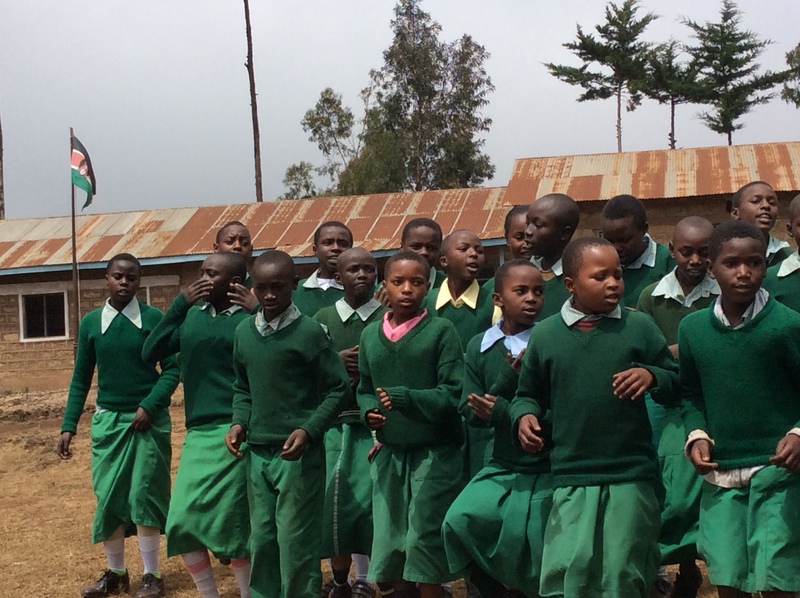 I was also surprised to learn that Kenya had a commission in 1980 that transformed the education system away from the British model…and they adopted the Canadian system! No wonder it sometimes feels so familiar in the schools. I also liked the closing quote from the Education minister: “Aspire to inspire before you expire!” Nicely said. After lunch at the hotel with the Meru county delegation, we headed back to Buuri for our final visit. We divided into 3 groups: Technology, Geography and Waste Management (talking about composting). Each group had about 50 students, and then we rotated. I was part of the technology group. 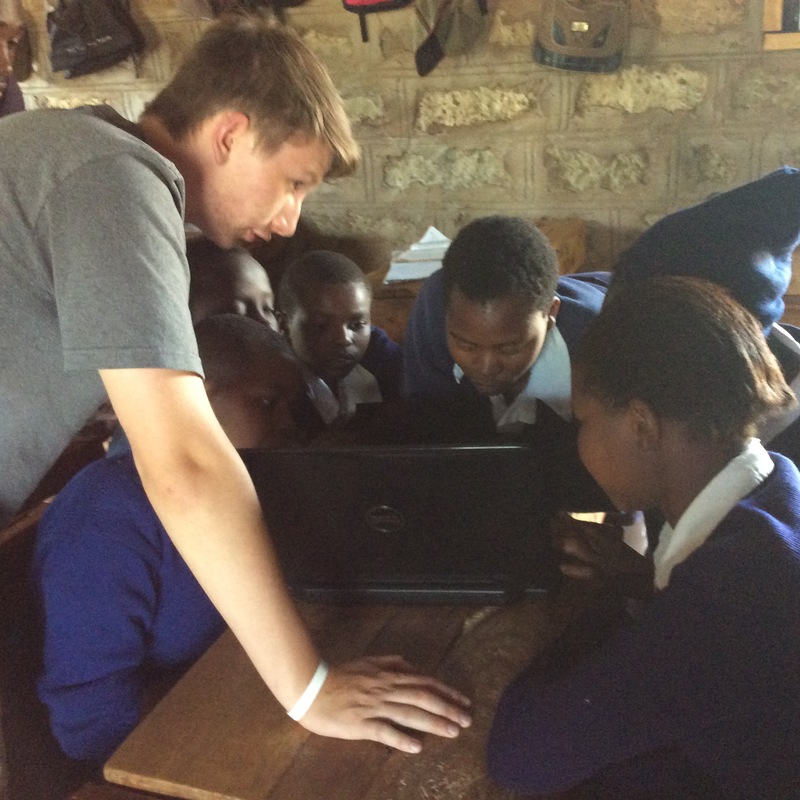 Only a handful of the Buuri students had ever even touched a laptop. So the first part of the lesson was learning to use the touchpad for the cursor. Already that was two new words!! After that, we looked at the Word program and they each typed “My name is” and saved the file. 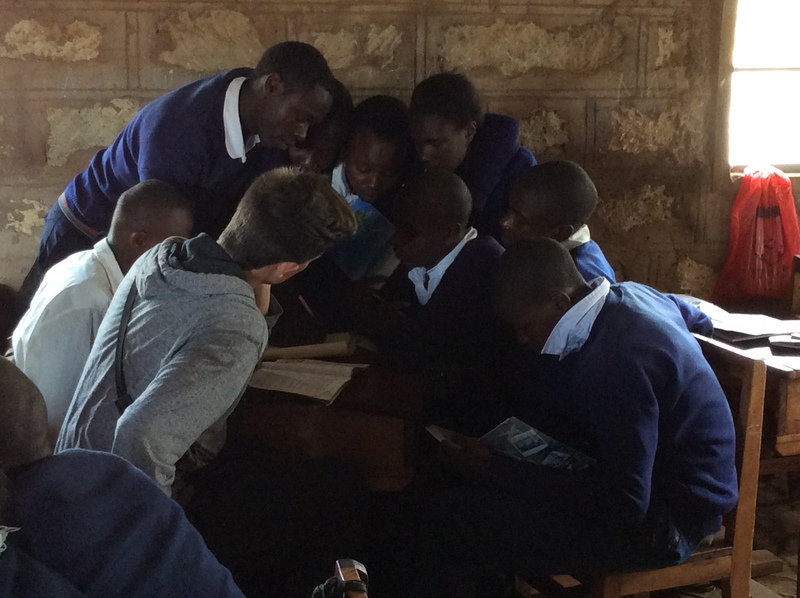 The final two groups moved through that pretty quickly so we started making a Powerpoint presentation, using photos from our time at Buuri. That was fun! Then we started looking at videos and laughing a lot. Sadie started using Photo Booth and making funny faces with the students. 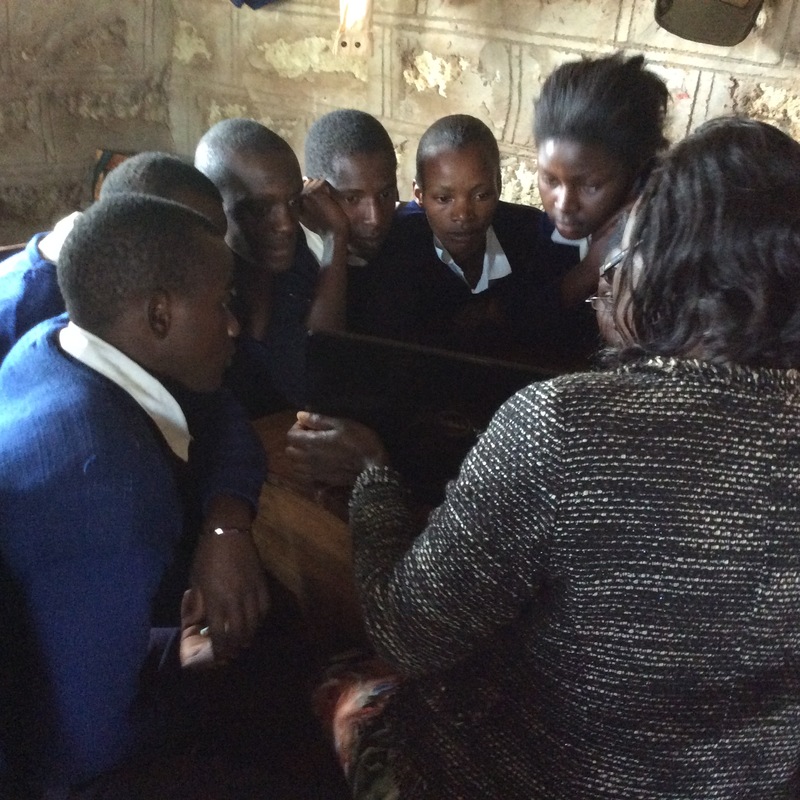 At another computer, Gikundi showed them video games and a group of boys was thrilled! I’m not sure how many useful computer skills they learned from there on but it sure was fun. 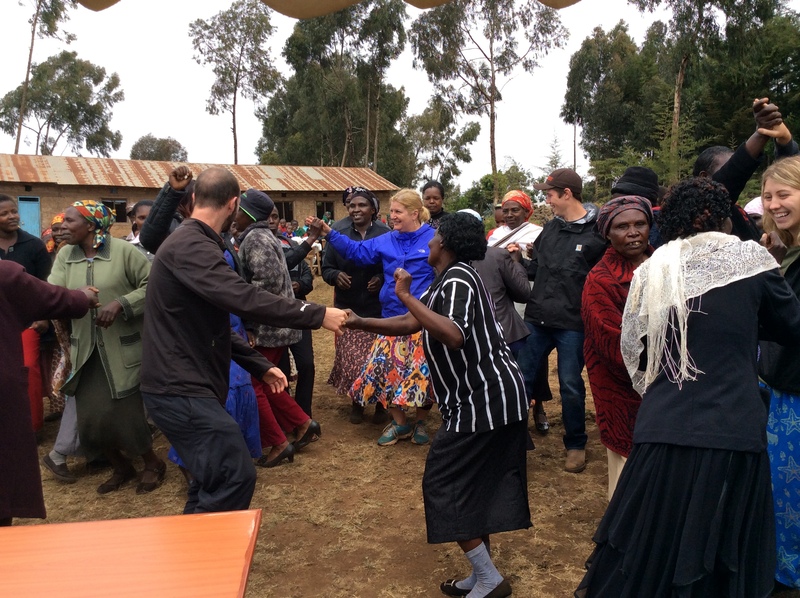 Our visit wrapped up with some dancing by the students. And then we handed out the gifts we had brought from P.E.I. When it was time to say good-bye, Daniel brought out a football and started throwing it around. It was kind of symbolic to end the visit the way we started: joining together in sports. There were a few more photos and then it was time to load into the Combis. As we drove along the road, many of the students were making their way home in the setting sun. We waved at everyone we passed. 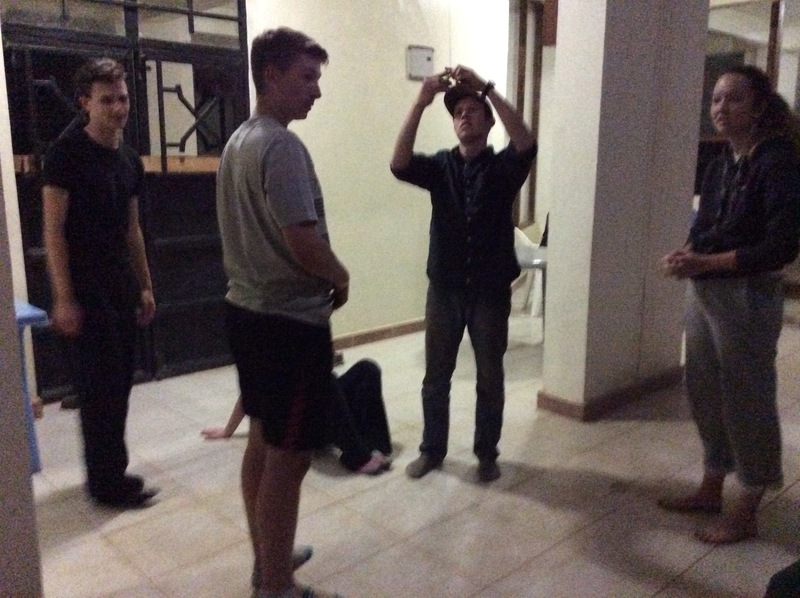 And then we made our way back to the guesthouse one last time. 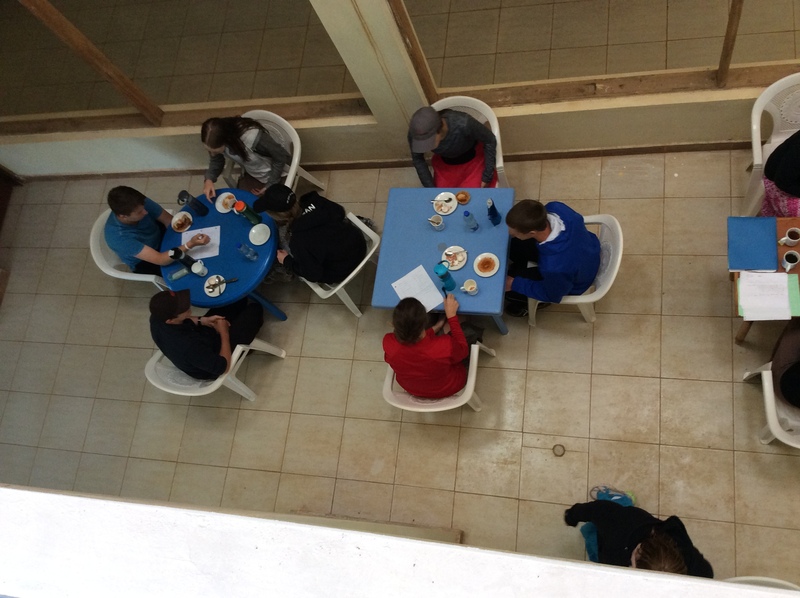 The group is just doing their final reflective activity of the trip. It’s interesting to listen to their observations of what they have learned, how it has changed them and what they plan to do next. 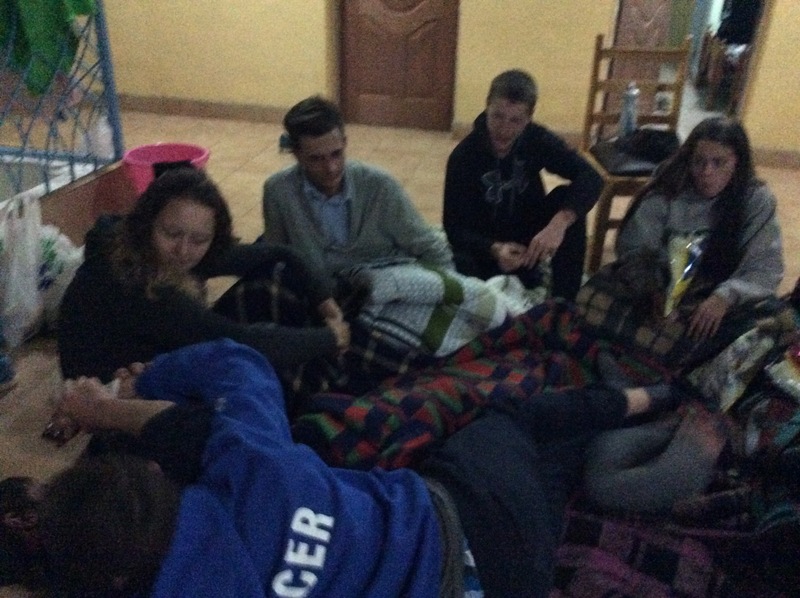 A lot of people have used the word “life changing” whenever we talked about going on this trip. I think we have all changed in a lot of ways. For example, we are more aware of the larger world we live in: the kind of challenges faced by people who live in a different geography and climate from ours. The climate here is incredibly challenging. We grumble about snow, but drought is far more deadly. The lack of water causes so much hardship. 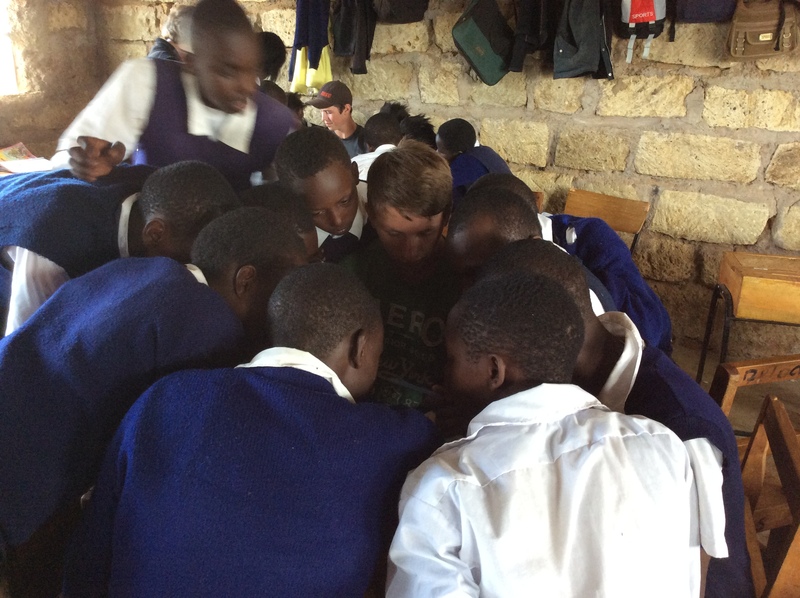 And yet the Kenyans persevere! 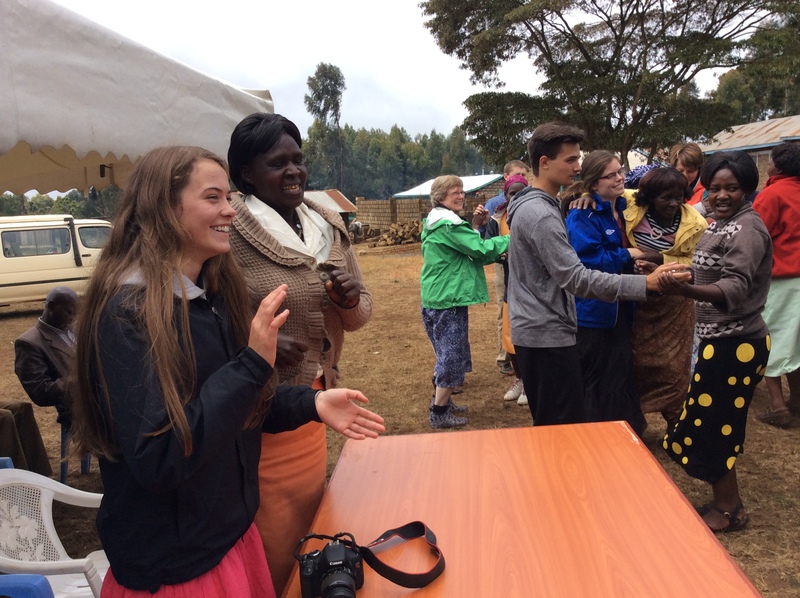 The Kenyans have taught us a lot…about being joyful, and humble, appreciative and giving. It wasn’t all about us giving them gifts. We received as much or more in return. There is so much more to say but I will leave it there. On the way home, the youth will be working on their final blog posts. 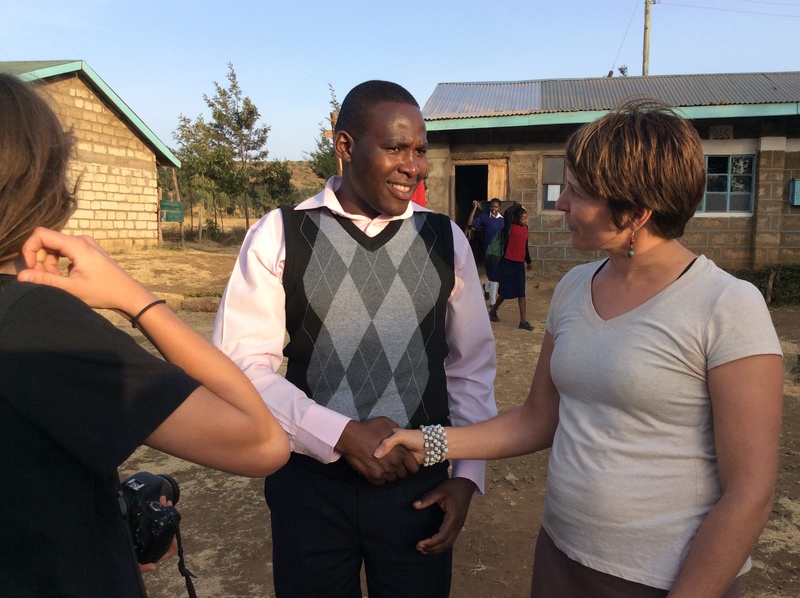 I will also be posting a “Behind the Scenes in Kenya” story with photos! It was been an extraordinary two weeks. It was back to work today for everyone on the Youth Tour. The youth started the day with a tour of the Naari Dairy with the UPEI vet students. Farmers Helping Farmers has recently started working with the dairy, which acts as a kind of cooperative for local farmers. More details on that visit to come. Meanwhile, Carolyn and I headed to visit two potential twinning schools. Farmers Helping Farmers starting matching P.E.I. schools with schools in Kenya in 2004. Since then, thousands of Island children have written letters to pen pals here. 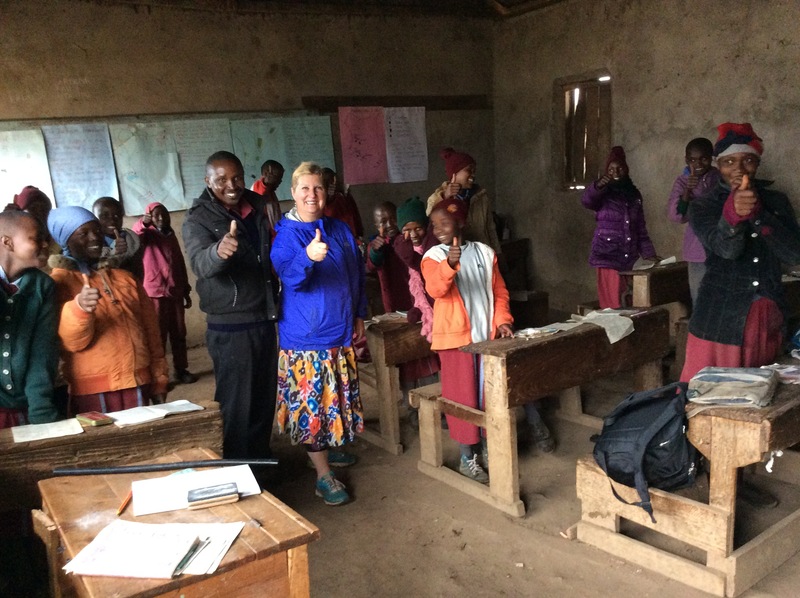 In some cases, the twinned school in Canada has also raised money for improvements at the Kenyan school, but there is no requirement that they do any fundraising. 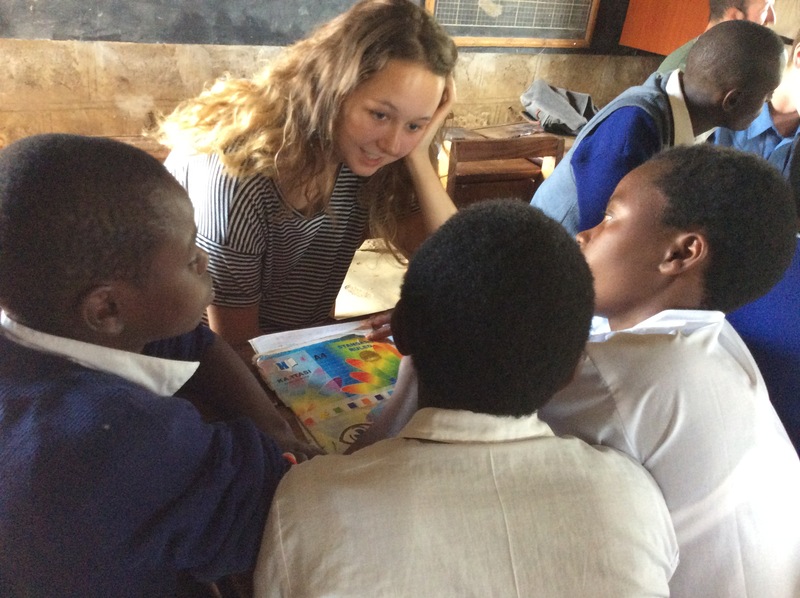 The idea is to allow young people in both countries to learn more about each other, through the exchange of letters twice a year. 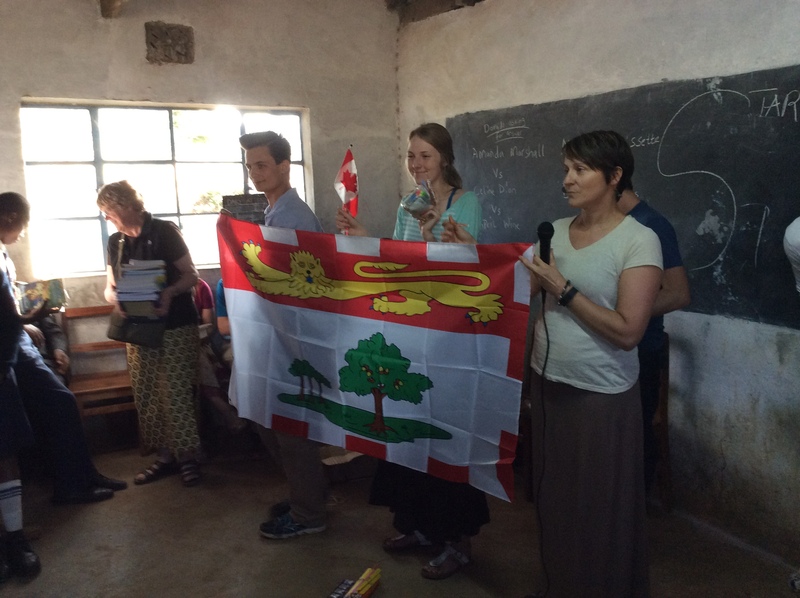 There are now 18 twinned schools (and Sunday schools), including a school in Alberta. We have been busy handing out letters and picking up new ones that will be delivered to Island students in September. 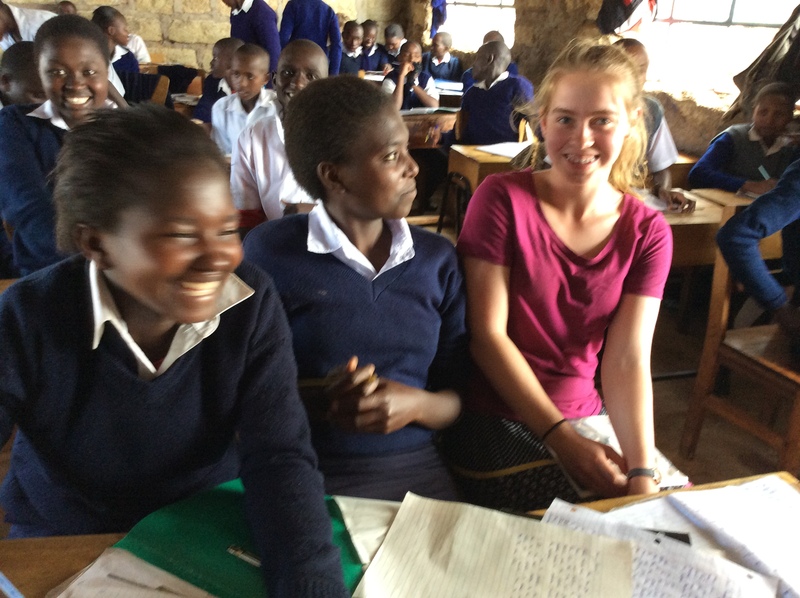 Carolyn and I have also had a chance to visit four Kenyan schools that could become potential letter writing partners. It is such fun to show up in the classrooms at these schools! 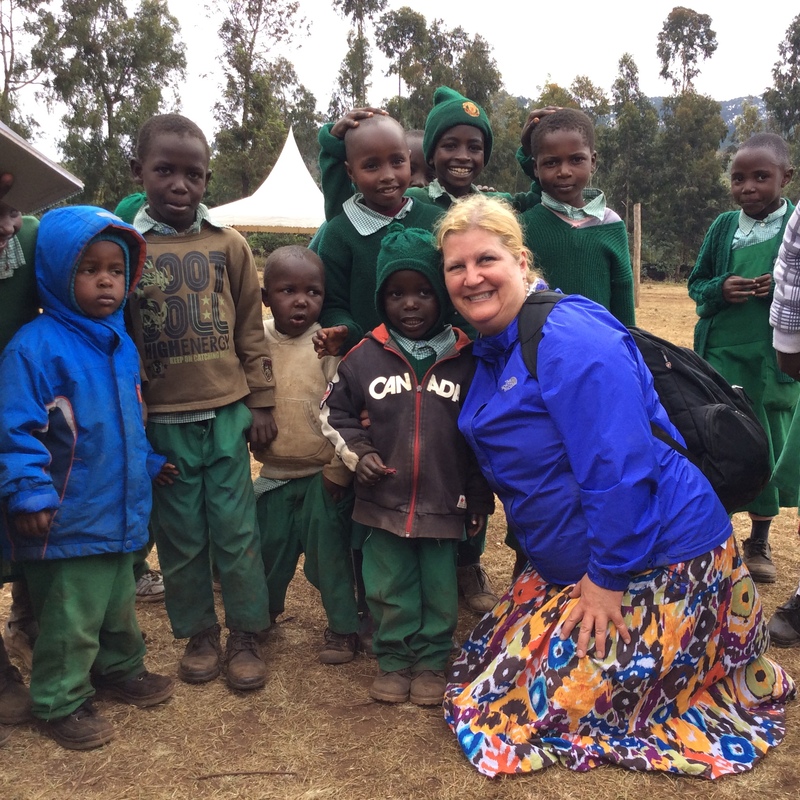 The last thing they expected when they arrived at school that day was for a blonde-haired mzungu (white person) to walk into their classroom. Usually, they are quite shy at first. 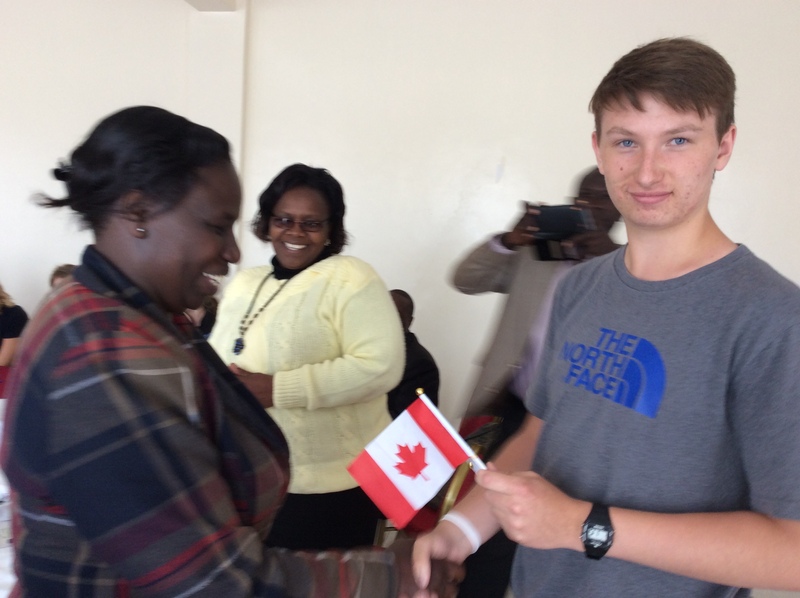 I explain that I’m from Canada, visiting Kenya. I talk about Canada and ask them if they have questions. What really gets them excited is if we take their picture – and even more so if we show them the picture on our cameras! They eventually get brave enough to touch my hair and hands. 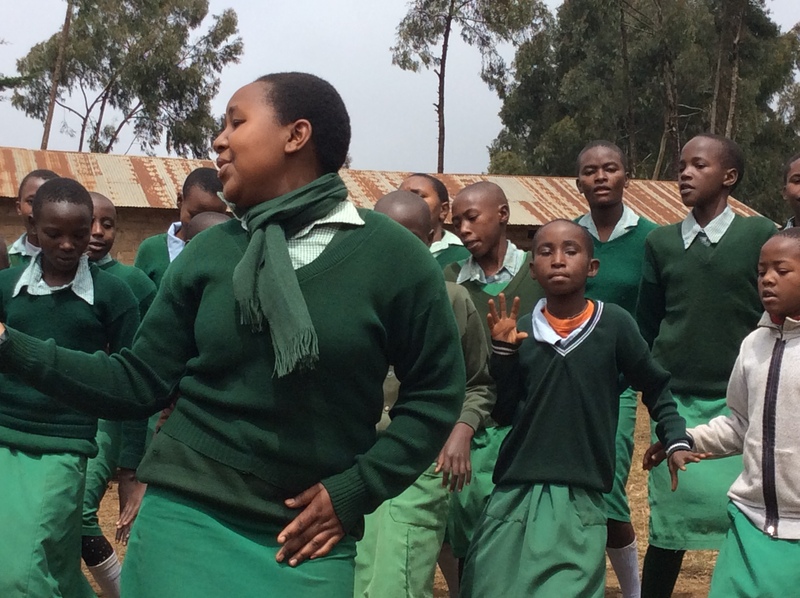 They love high-fives…and I have taught “thumbs up” at the schools as well. 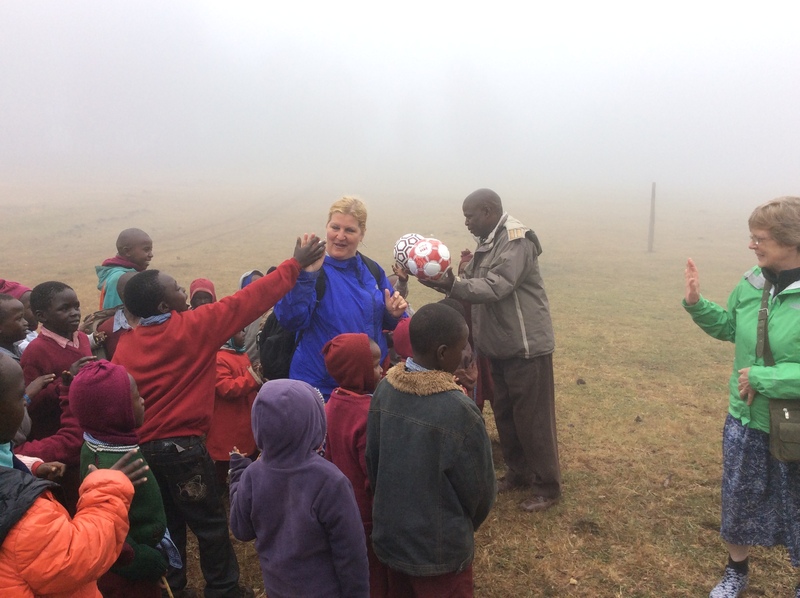 We left two soccer balls at both the schools we visited today – one primary and the other secondary. There is great excitement at the sight on these balls. And we know why. Driving past one of them we saw that they were playing football with a rock. Hopefully the balls make it to the field very soon. 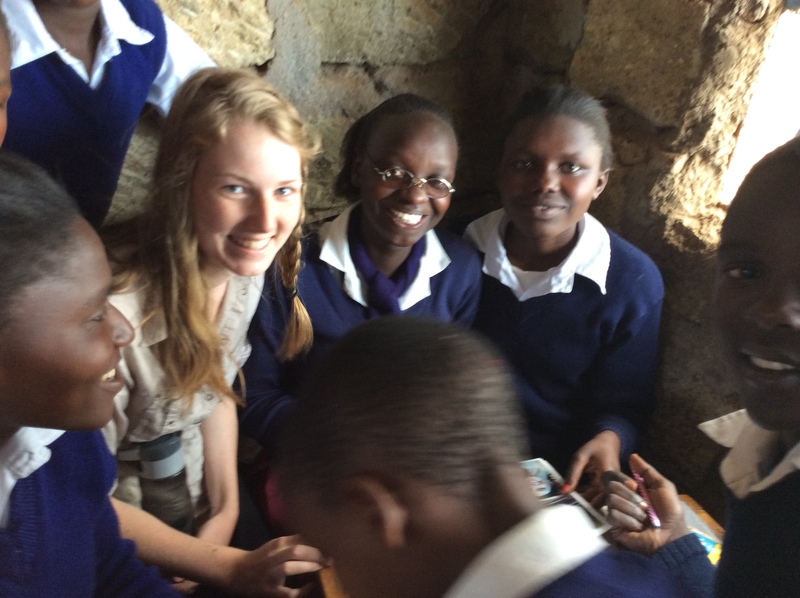 Visiting these schools has been a very joy-filled part of the trip for me…though it is exhausting! We have gathered lots of photos and information and will take that back to P.E.I. as we move into a new year of school twinning. 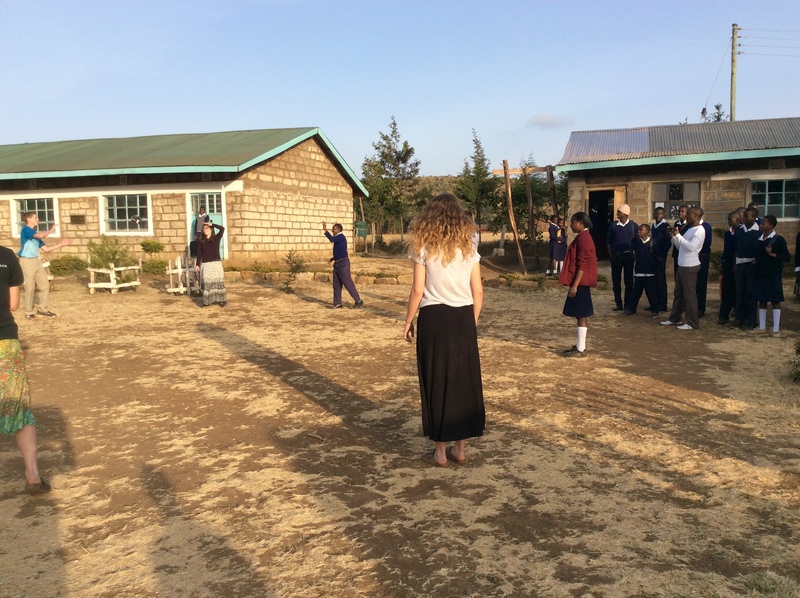 Carolyn and I met up with the youth at Muuti-O-Nthengeri, a primary school that is twinned with Mount Stewart Consolidated (or Mount Sweetheart as some of the Kenyan kids called it!). We knew we were in for an uplifting visit the moment we drove onto the grounds. The students and parents were waiting for us—and burst into song before we even got out of the Combis. They grabbed us by the hand and sang and danced. 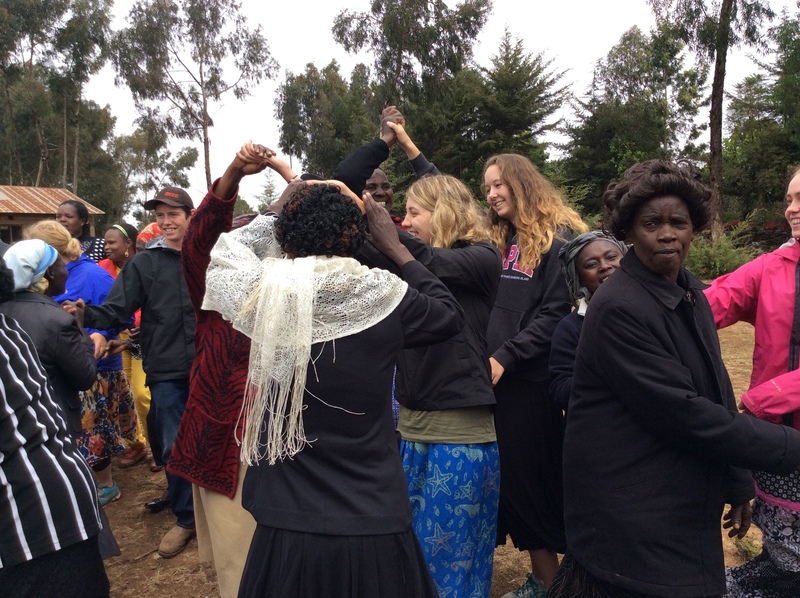 We have been greeted similarly before in Kenya…but we all agreed that this was the most exuberant experience yet! 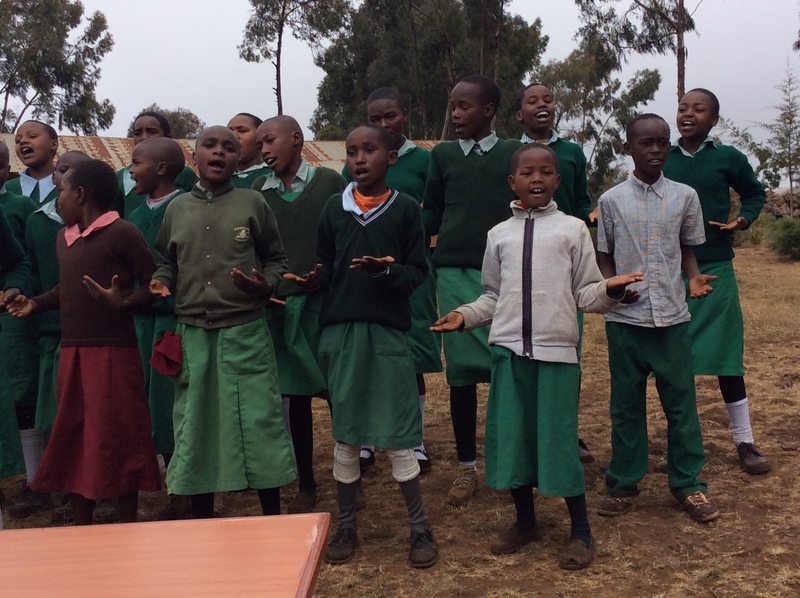 The students also performed a welcome song. It was then our turn! We sang ‘O Canada’ (we are getting better!) 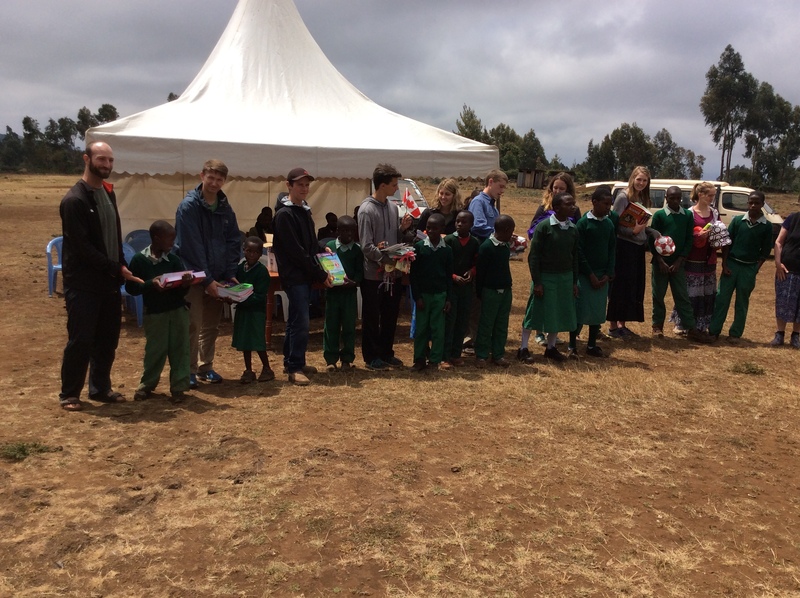 and then handed out the gifts we had brought with us. They were received by the governor and MPs of the school’s student parliament, which was kind of cool. After the welcome ceremony, we toured the classrooms…and the new cookhouse and screen garden that were officially opened in February 2015. The cookhouse and screen garden were funded by money raised at the 2014 Souris Village Feast. There are now 8 of these cookhouse/screen garden combinations funded by the annual Village Feast. 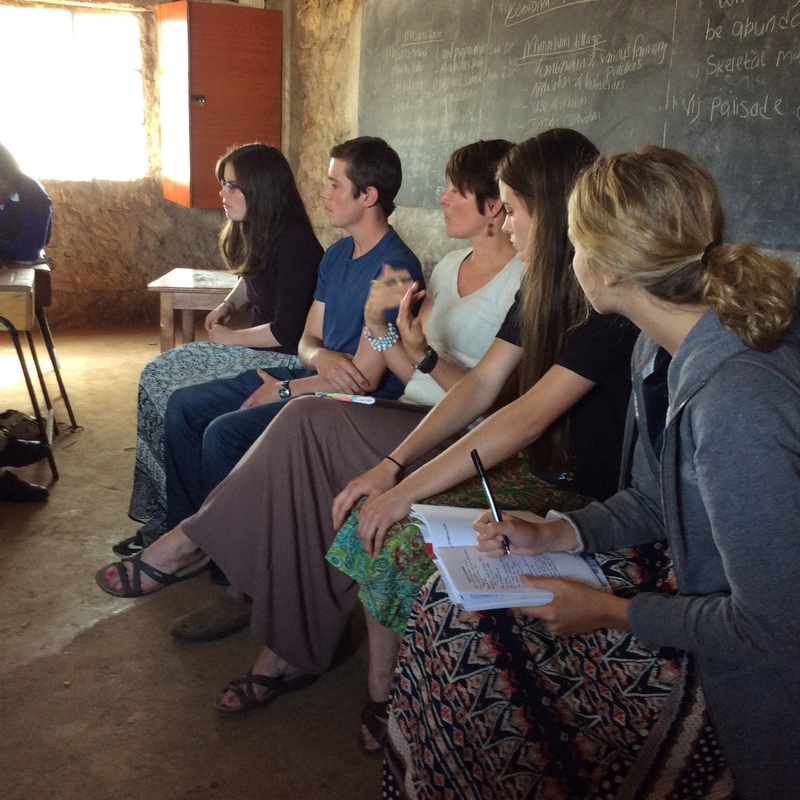 They have made a tremendous impact at the schools where they have been built. These schools are able to attract more and better students because they offer a lunch program. These schools have also had better test results, because the students are getting enough to eat, at least at school. It is such a win-win. The Village Feast also provides ongoing funding for a gardener at these schools, which means the long term benefits will continue. I always knew, in theory, that these were a meaningful project. 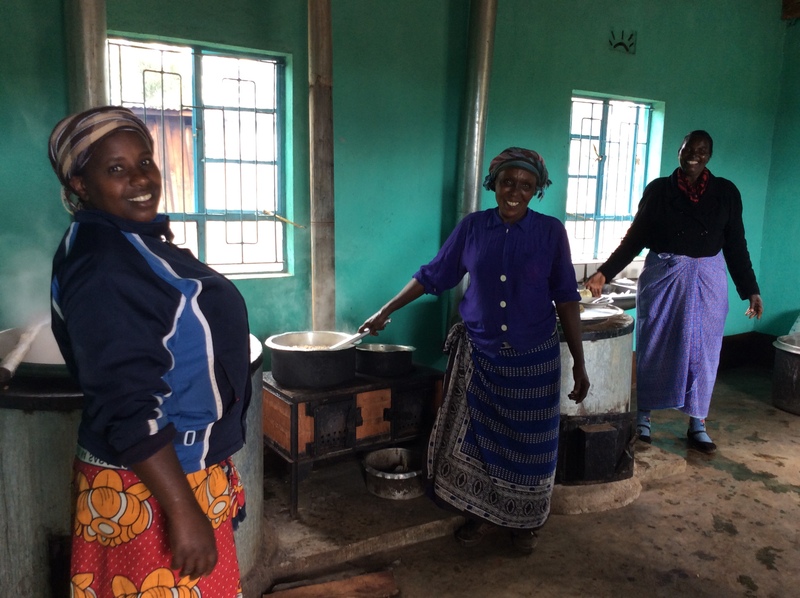 But seeing the old cookhouses – filled with smoke and inefficient – and seeing the new ones, and the amazing gardens – I am so grateful to the people behind the Village Feast for what they have accomplished here in Kenya. The parents and staff at the school were grateful today too. This school still needs many improvements. The ground is rocky, so they have trouble with their latrines. 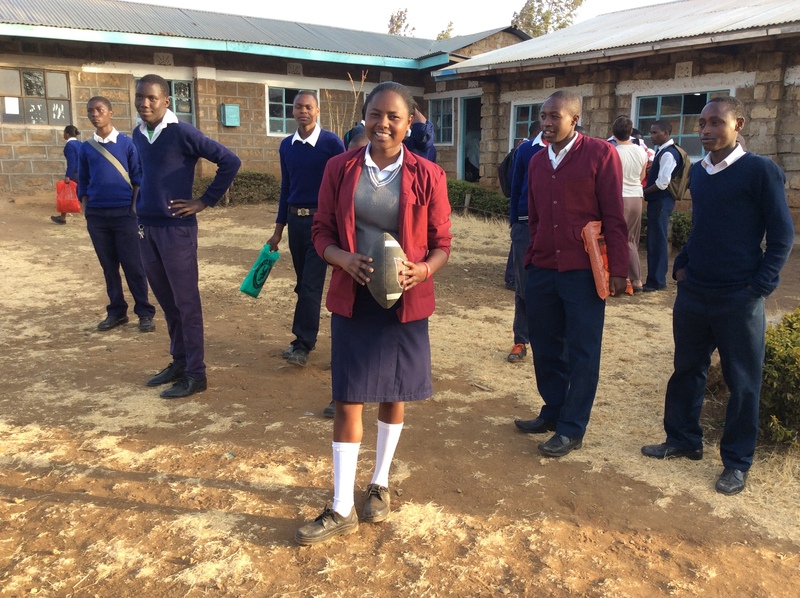 Like most schools, they also need more water tanks. 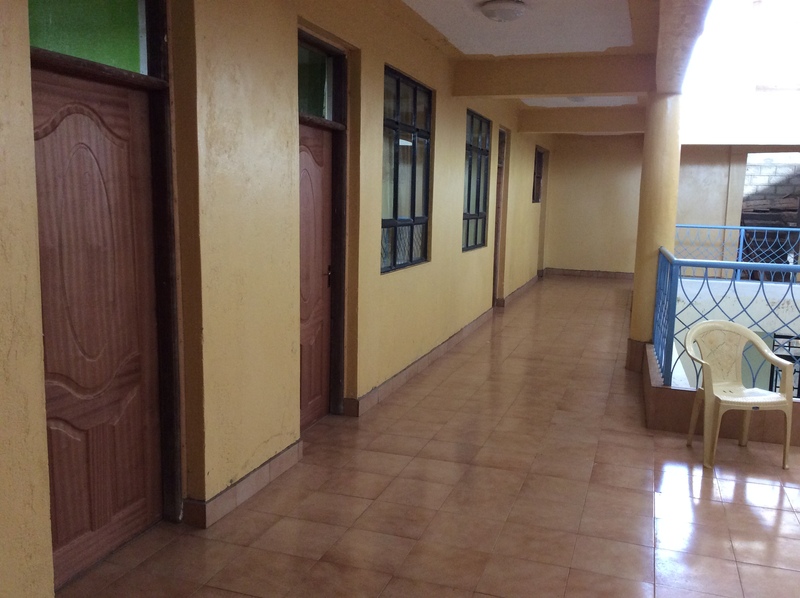 But they are building a new Early Childhood Centre – two classrooms that will soon house their Nursery A (4 years olds) and Nursery B (5 year olds) – with financial support from the county government. So things are looking good at Muuti O, as we call it. It was a pleasure to visit there. 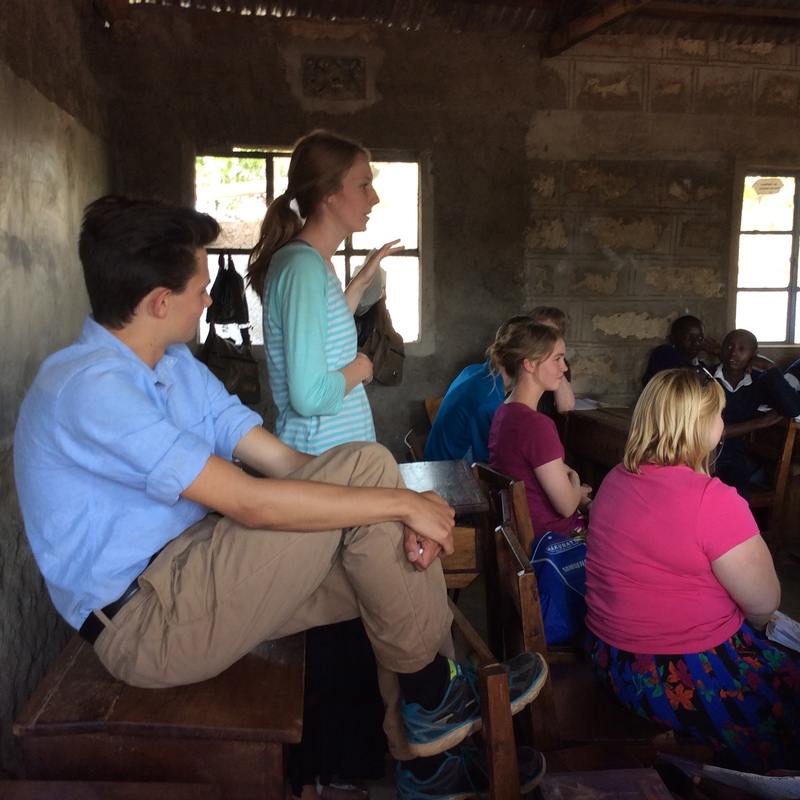 In the afternoon, we headed back to Buuri Secondary, the high school that we visited for Games Day and a Church Service when we first arrived in Kenya. The students were excited to have us back! The oldest ones are writing exams this week. 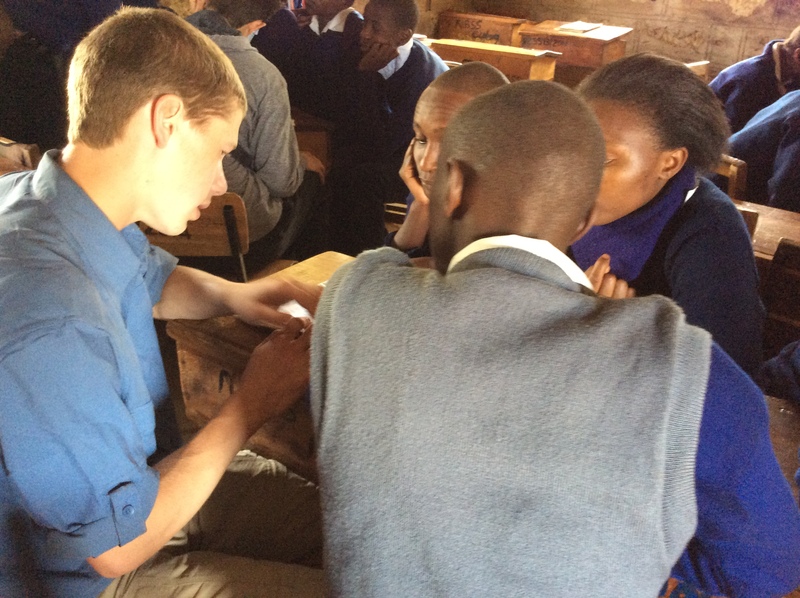 But we were able to spend time with the Grade 9 and 10 (Form 1 and 2) students. 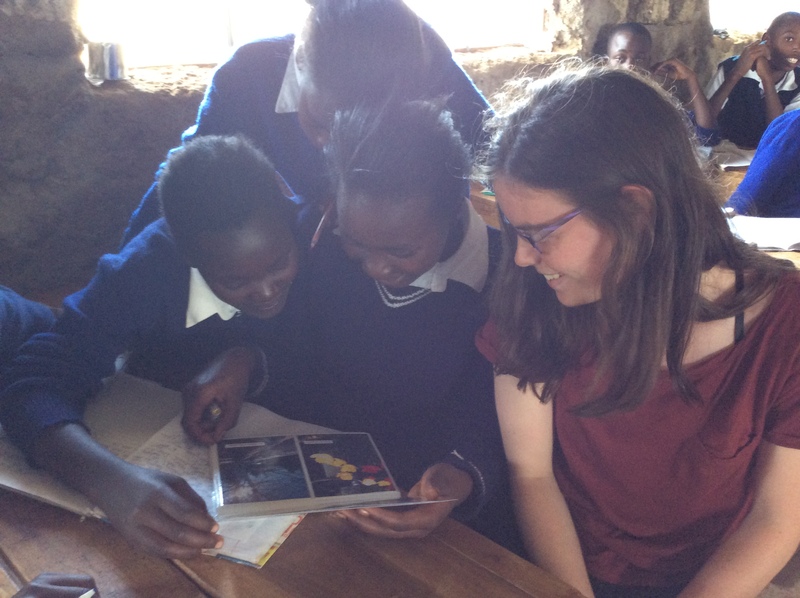 Our students brought albums filled with 50 photos from home to share with their Buuri counterparts. 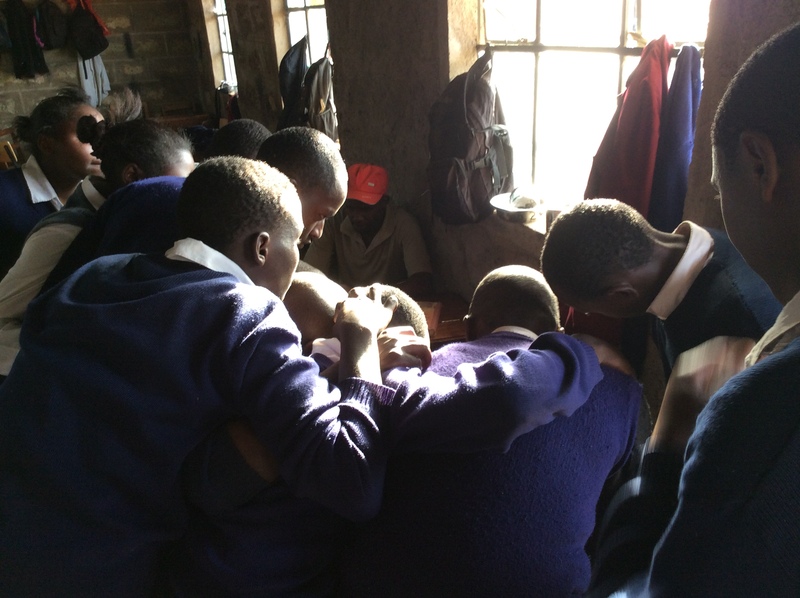 The Buuri students asked if they could each have a photo…and I can report that the albums are now empty! 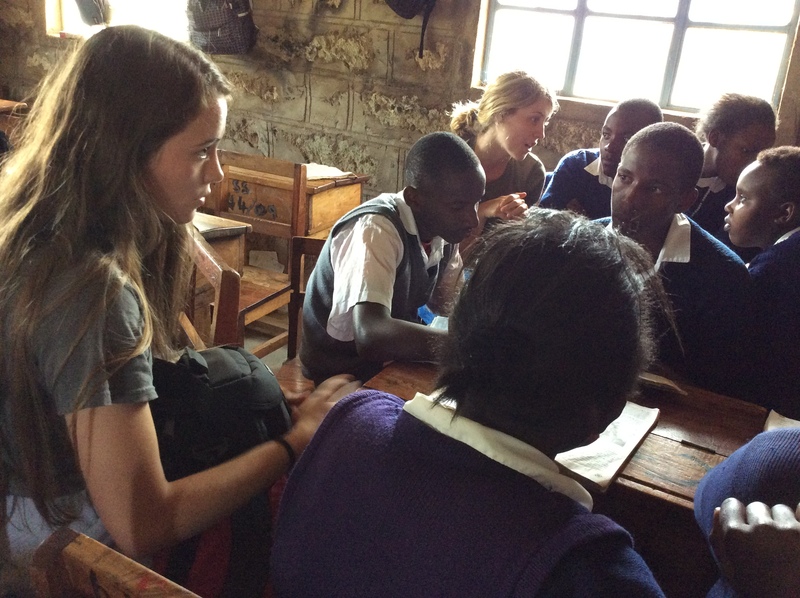 On the way back to Meru, we talked about how it’s sometimes overwhelming when you’re trying to explain things to the Buuri students. There is the language barrier, but also a cultural barrier. Our lives in North America are just so different in some ways. It was good that we had photos of things like snow and ice hockey and our pets, to help us explain. 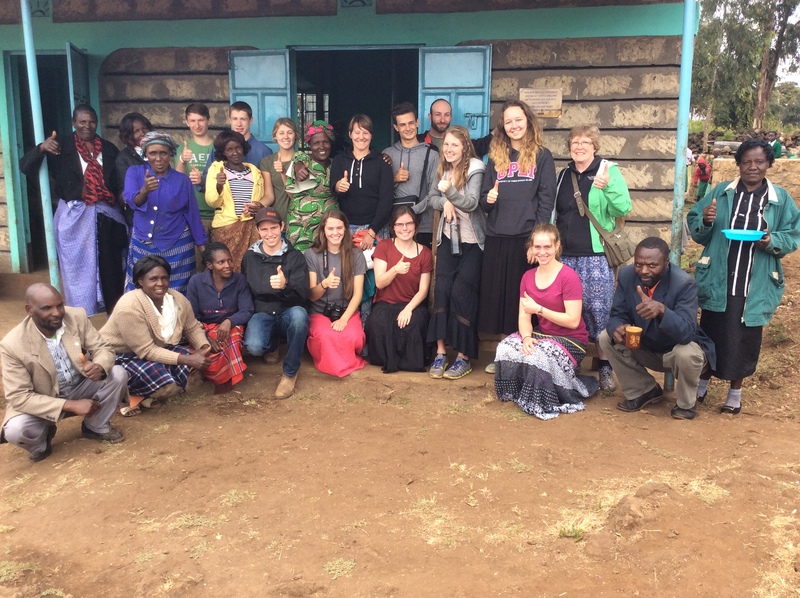 We also have to remember that some of these teens have only been as far as Meru, about a 20 minute drive away. Some of them haven’t even been that far. 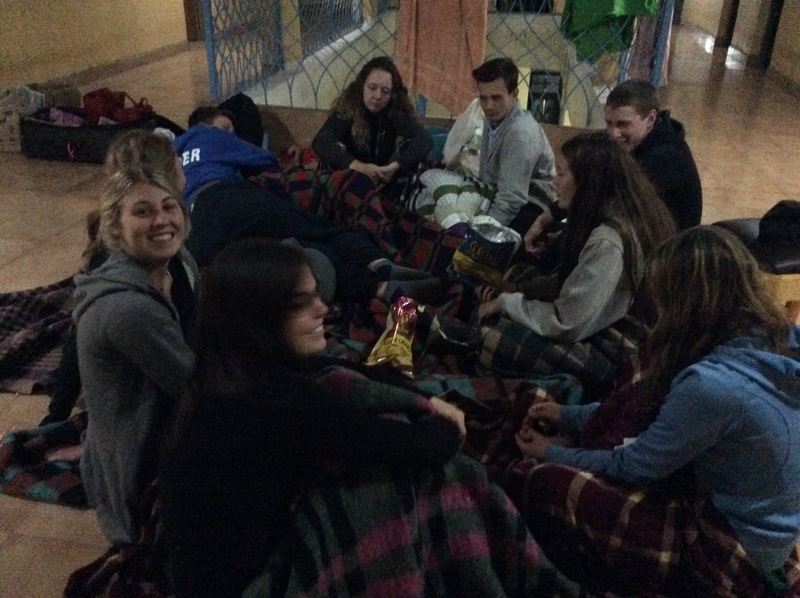 We are all very aware that our trip is quickly coming to an end. 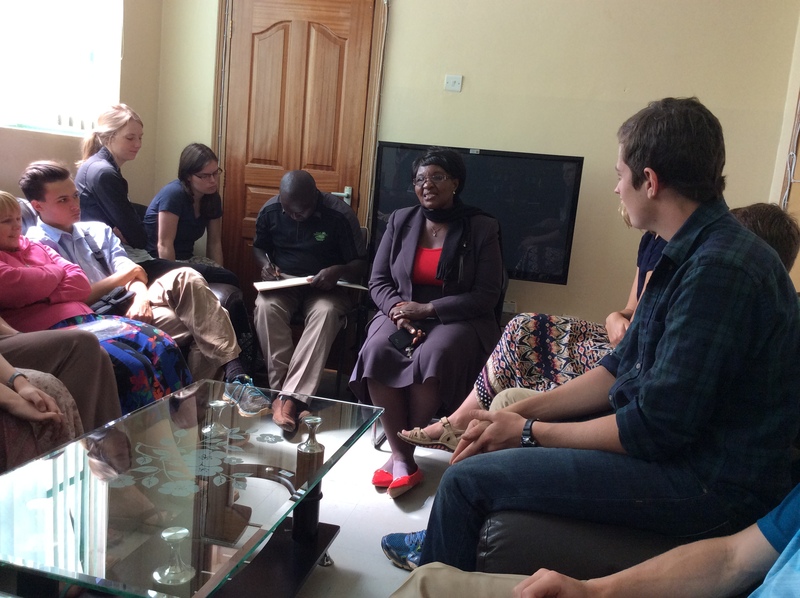 Tomorrow we are visiting the Meru Assembly, where Jennifer our host here is a member, like an MLA, for her constituency. She is very excited to introduce us to the governor. 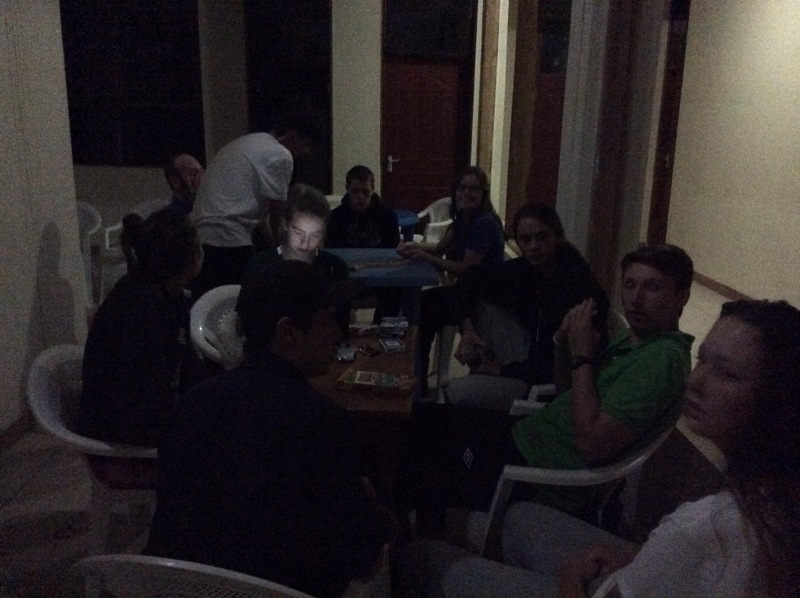 In the afternoon, we will have a farewell visit to Buuri. Then it’s back to the guesthouse to pack! Our long journey home starts Wednesday morning with a visit to Mukurweini, the other area where Farmers Helping Farmers works. We will visit with FHF board member and AVC student Dr. Shauna Richards. 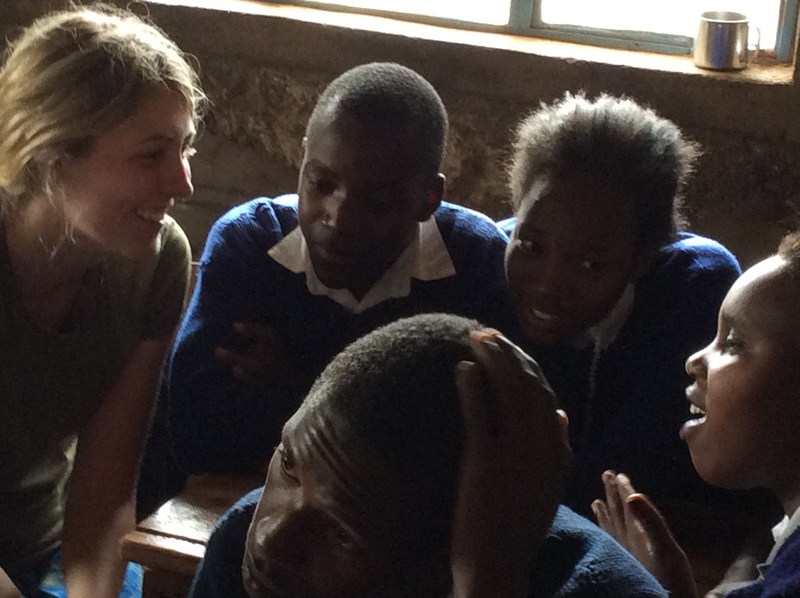 The students met Shauna at the orientation so it will be great for them to see her work in Kenya. 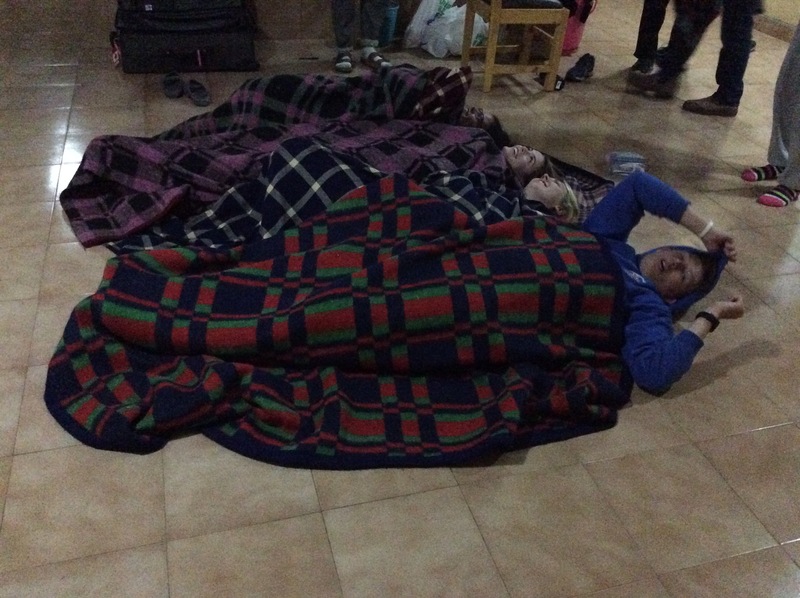 Then we continue on to Nairobi and start our 3 flights home! 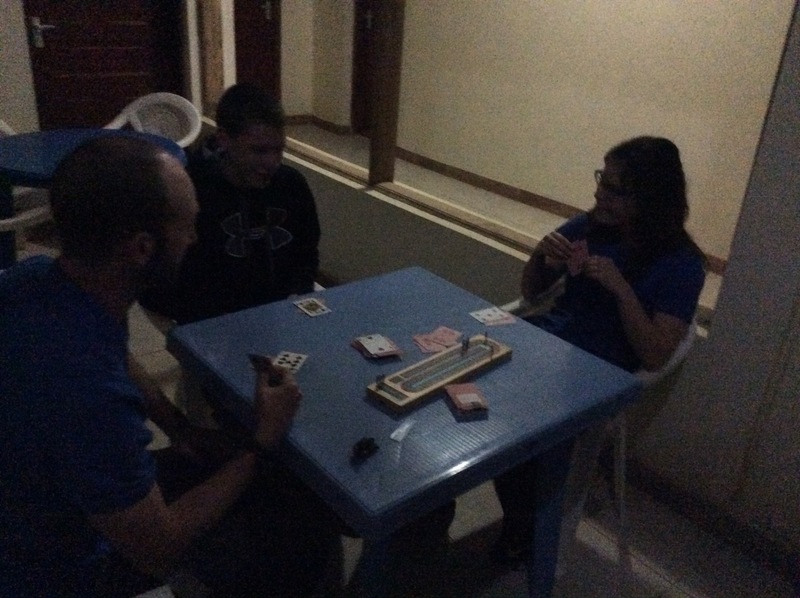 Until then, our adventure in Kenya continues. 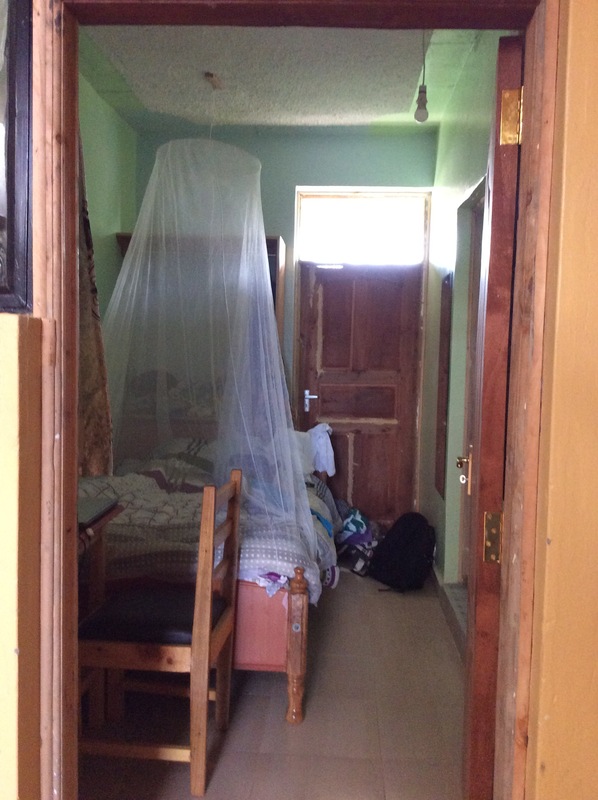 Kwaheri – bye for now. Elephants, elephants and more elephants! That’s how we could describe our final safari drive. We went a different direction out of the Lodge this time…heading towards a bridge that would take us across the river. When you see how dry the river bed is, you wonder how all of these animals are going to find enough to drink until it rains again in November! 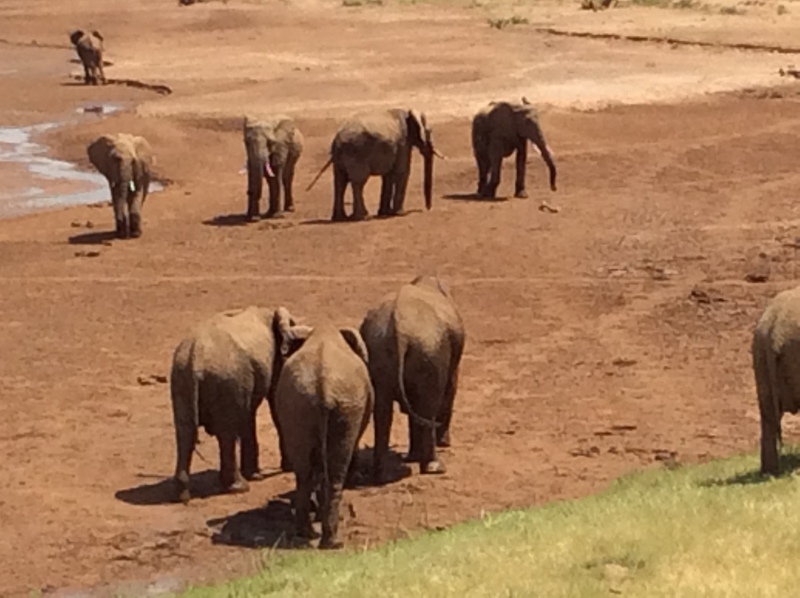 You understand why a watering hole is so important in Kenya. One extra note on the elephants at the Lodge before I get to the safari drive. When we walk to our rooms at night, we have to be accompanied by a security guard, in case the elephants have come up from the river, or through the gate. There is evidence everywhere that they are here – including Kelsey and Kelly’s account of seeing one at the pool! The security guard told me last night, and others have heard this too, that they allow the elephants to come up onto the grounds between midnight and 5 a.m. when the guests are asleep. As the guy who was walking with me said, wisely, this is their territory after all. So as long as they aren’t causing trouble, the elephants are allowed to come up and eat some grass and trees. I think that’s kind of neat. 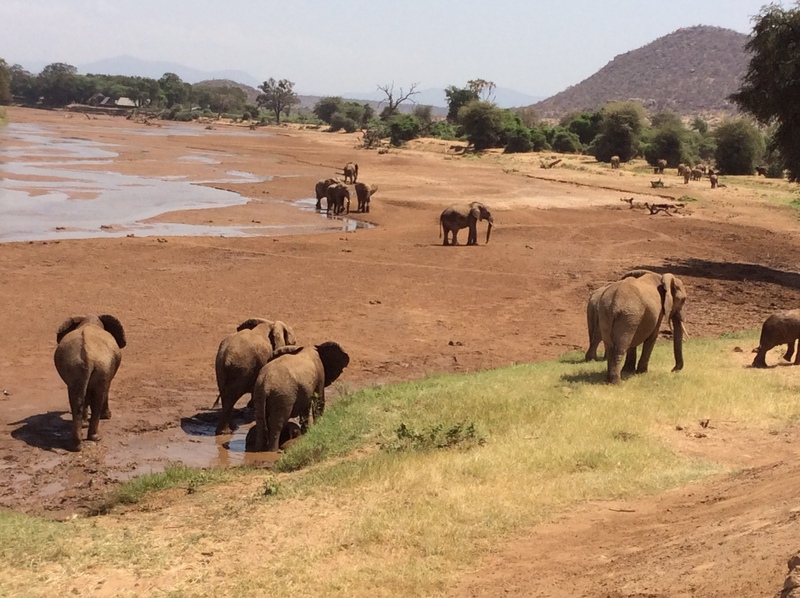 Talking about a healthy elephant population…we saw more than 70 elephants on the other side of the river today! At first it seemed like a bit of a bust, except for the one elephant patiently waiting outside the gate. 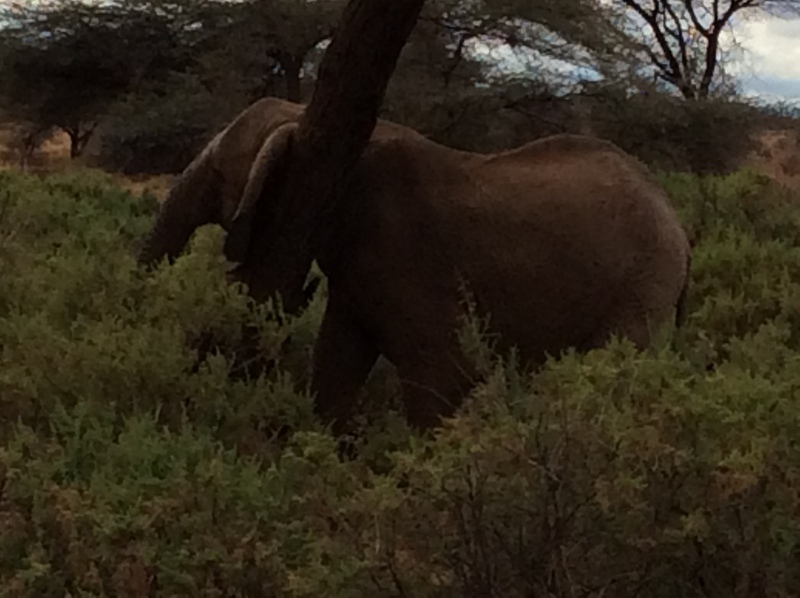 But after travelling for about 45 minutes, we hit elephant pay dirt! There were big groups of them, including lots of babies. 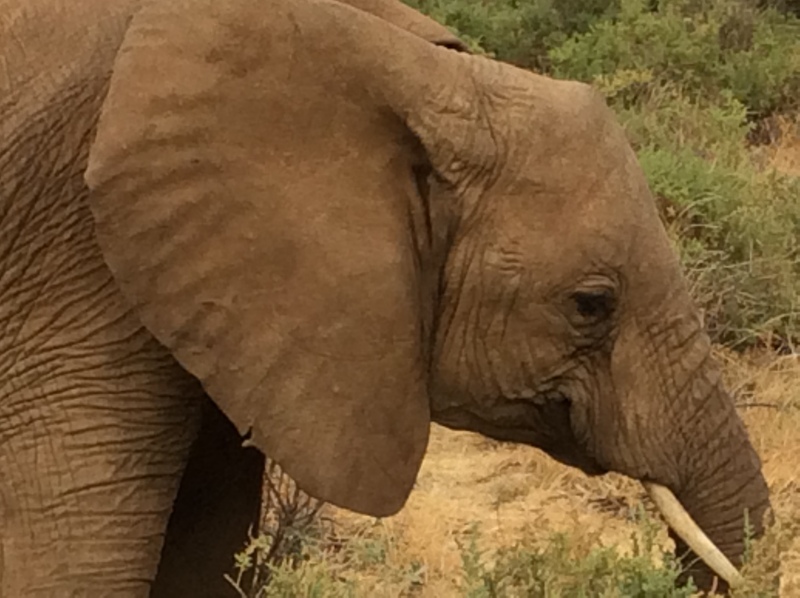 We were happy to see the young ones because it means the herd’s future is, for now, secure. We watched them pull up grass, after first kicking it with their feet. They also ripped pieces off shrubs. One older elephant seemed to have some kind of collar on. 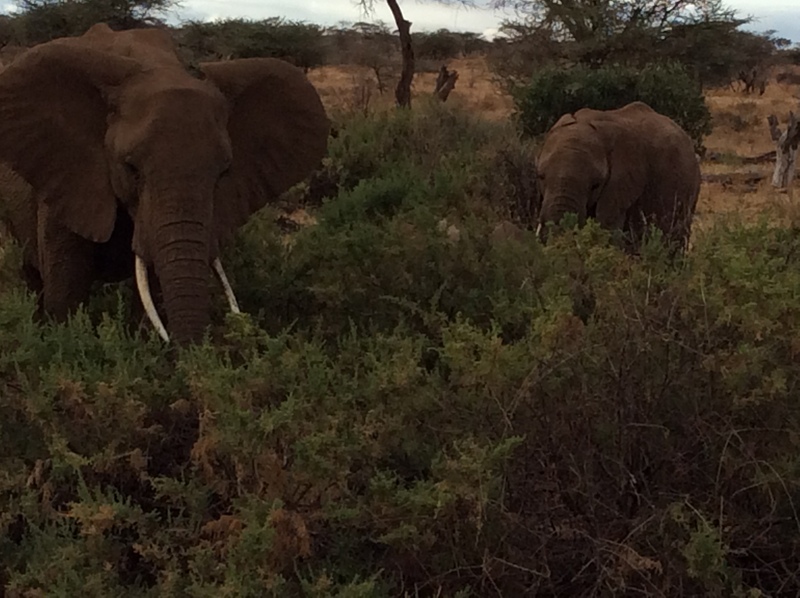 We got very close to the elephants, without disturbing them, of course. We were so close that one of them flapped its ears and we all jumped! Kelsey spotted a leopard briefly but otherwise no sign of the big cats. And according to the chatter on the two way radio, no one else saw them either. We were sad to climb out of the Combi after our last drive. But it has been truly magical. 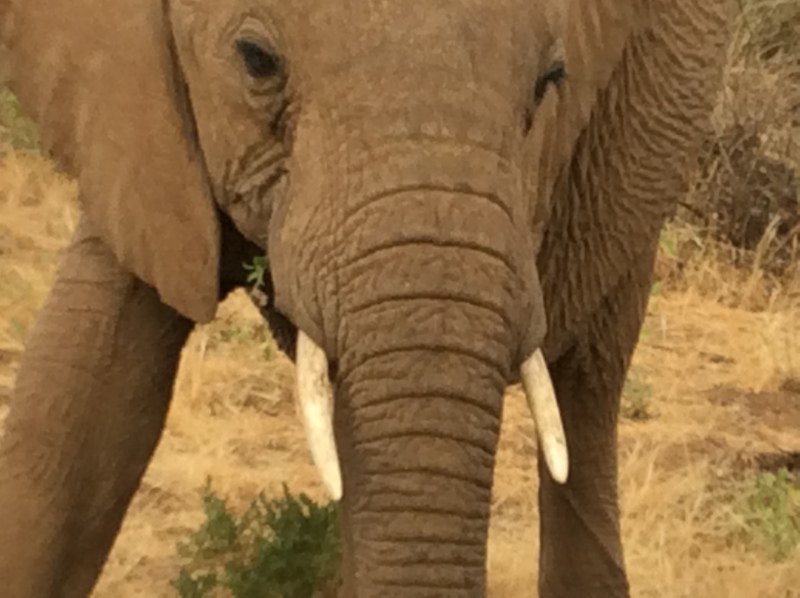 I keep using that word because it’s hard to describe the impact of seeing these animals in the wild. It is truly wonderful. Lion King and Planet Earth mixed together but seen through our own eyes! 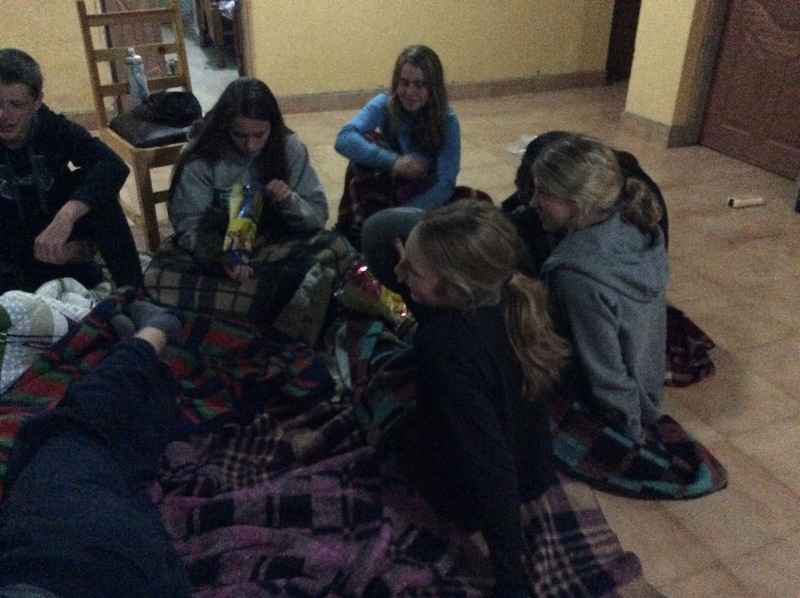 We have some time to relax this morning then we are heading two hours back to Meru. 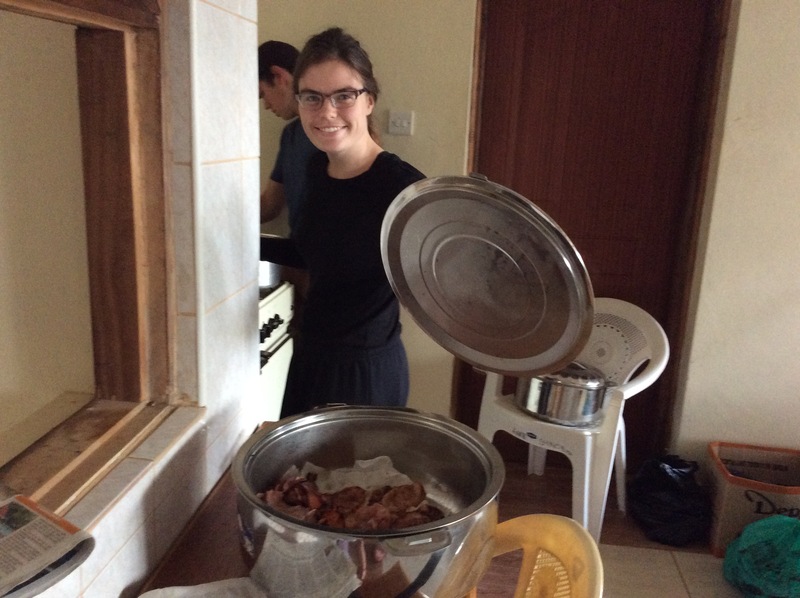 We will have supper at Jennifer’s again tonight with Salome and Stephen Mwenda and others. 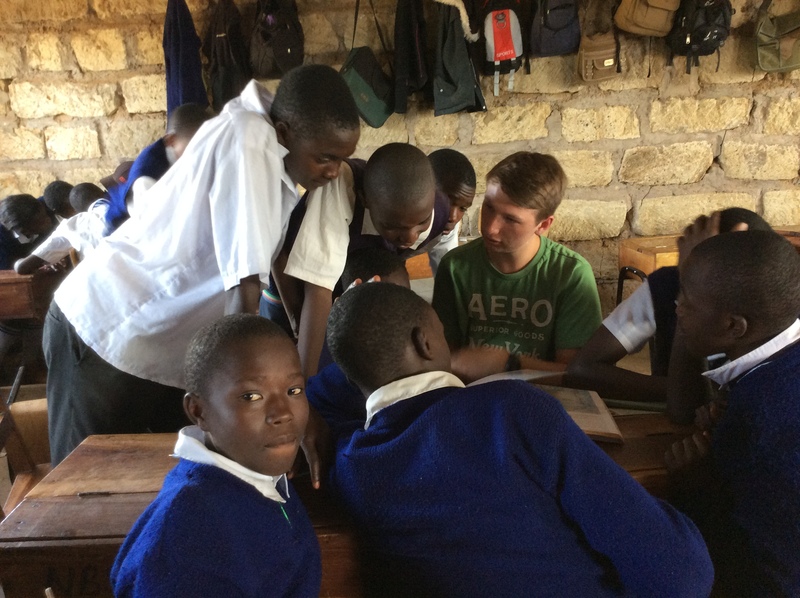 Then tomorrow and Tuesday we are back at a couple of schools, including Buuri, before we head back to Nairobi on Wednesday. 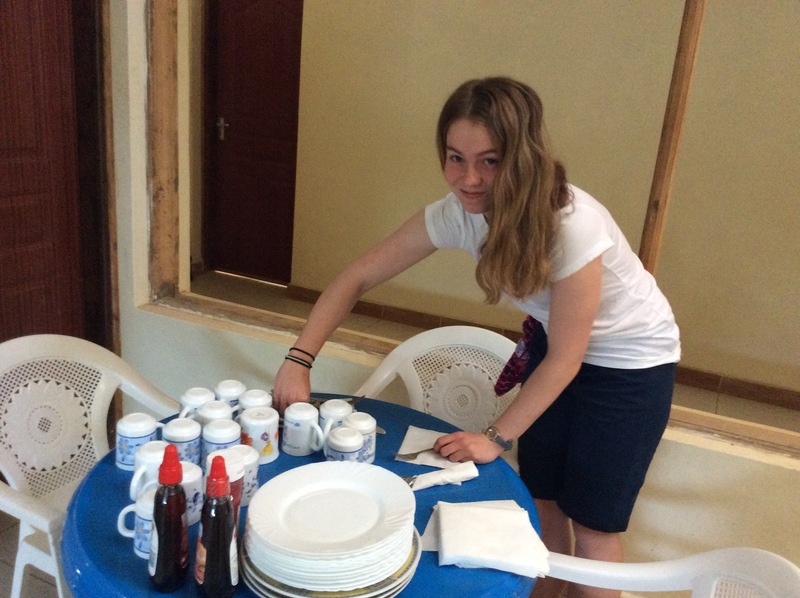 Kwaheri – bye for now! Asante sana. If we were falling in love with Kenya before we arrived in Samburu, I think that our days on safari have totally sealed the deal! It has been an amazing couple of days. There is something magical about seeing these wild creatures in their natural habitat. As natural as it can be, that is, when they’ve all grown up used to vehicles circling around them even as they perform their most (ahem) natural acts. But these are the animals we have grown up learning about in story books. They are the stars of “The Lion King” come to life before our eyes. To see giraffes ambling onto the river bank, and balance themselves as they bend over to have a drink of water. Then to see the zebras join them, followed by an elephant and then a herd of gazelles. The sight of all of them together on the river bank took our breath away. And that wasn’t even on safari! 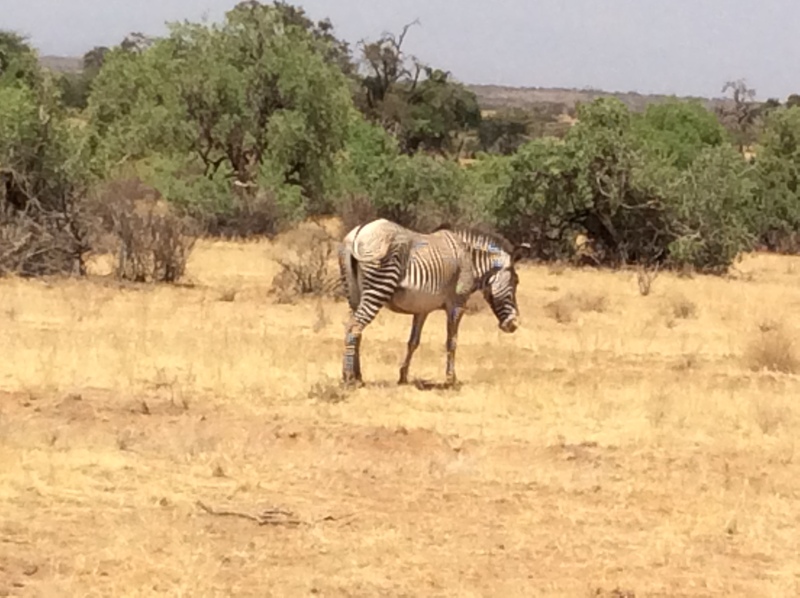 We have seen 14 lions, herds of zebras and oryx (like a zebra with very interesting horns! 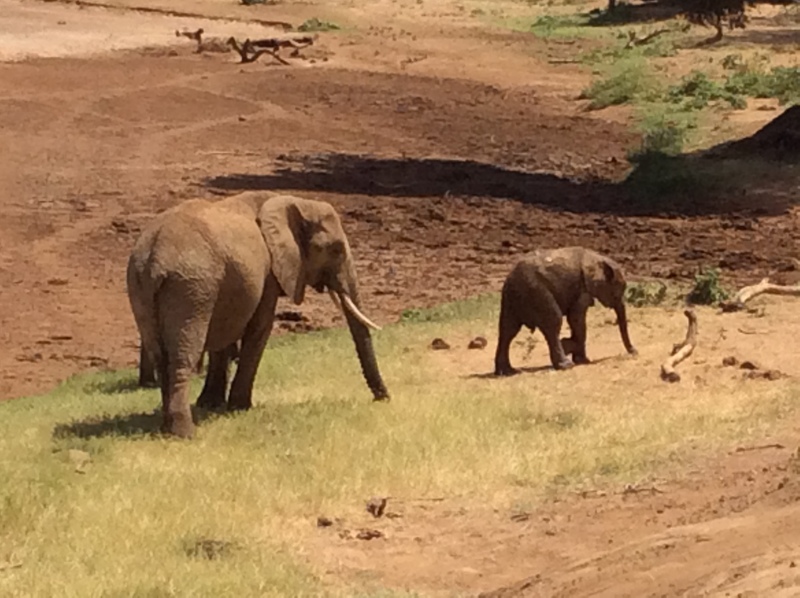 ), baby elephants, lots of impala. And then today, we finally got to see a leopard! We’re told there are only a few in the park these days. And the last one was spotted 3 weeks ago. But we lucked out today. And all the drivers quickly shared the news so that soon there were more than a dozen Combis surrounding the area where the leopard was. First we saw it come out of the bushes. We were surprised because we had all just been following a very brazen lioness who was strolling down the road passing our Combis as if we were not even there. We all instantly started to track the leopard. Which then dazzled us by climbing into a tree. It’s as if she knew that she was the show! The leopard straddled the branch she was in. And she stayed there. We all watched for about 20 minutes, snapping photo after photo. 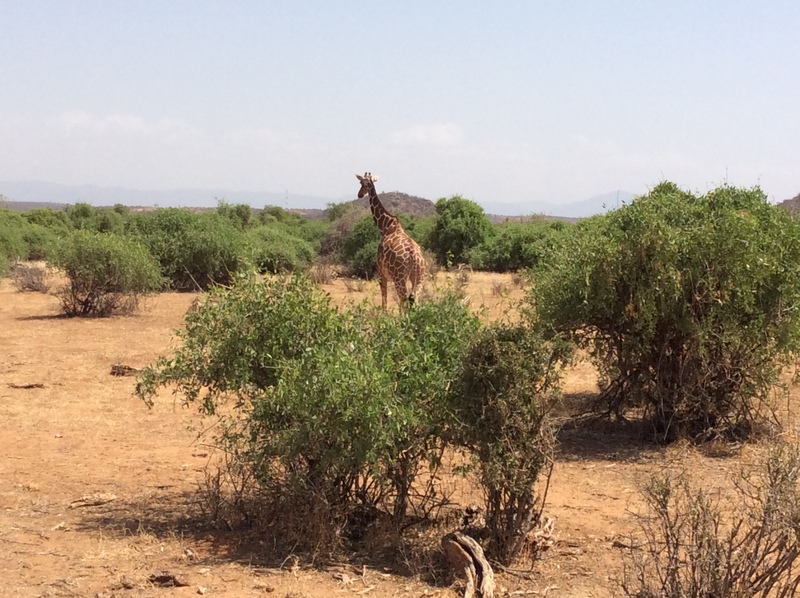 Then we took off to see some giraffe and zebra up close. When we went back, the leopard was still up in the tree, probably still sizing up her supper! We head out on our final “drive” tomorrow morning. But it will all be gravy at this point. 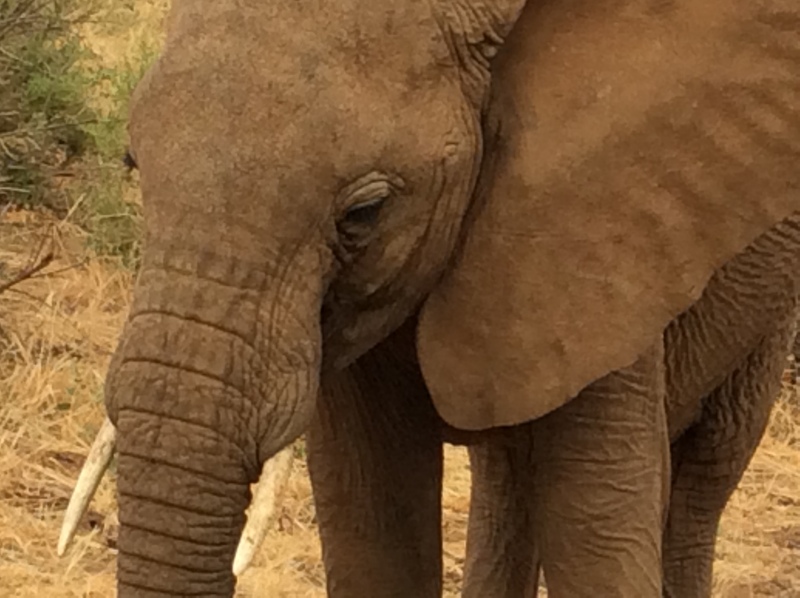 To have seen so many lions and elephants and giraffes and then the leopard….We have already been so fortunate. Our time at Samburu has given us memories that I’m sure all of us will treasure for the rest of our lives. Asante sana animals of Samburu. Be well and stay strong. We will miss you. Lions and Giraffes and Elephants! 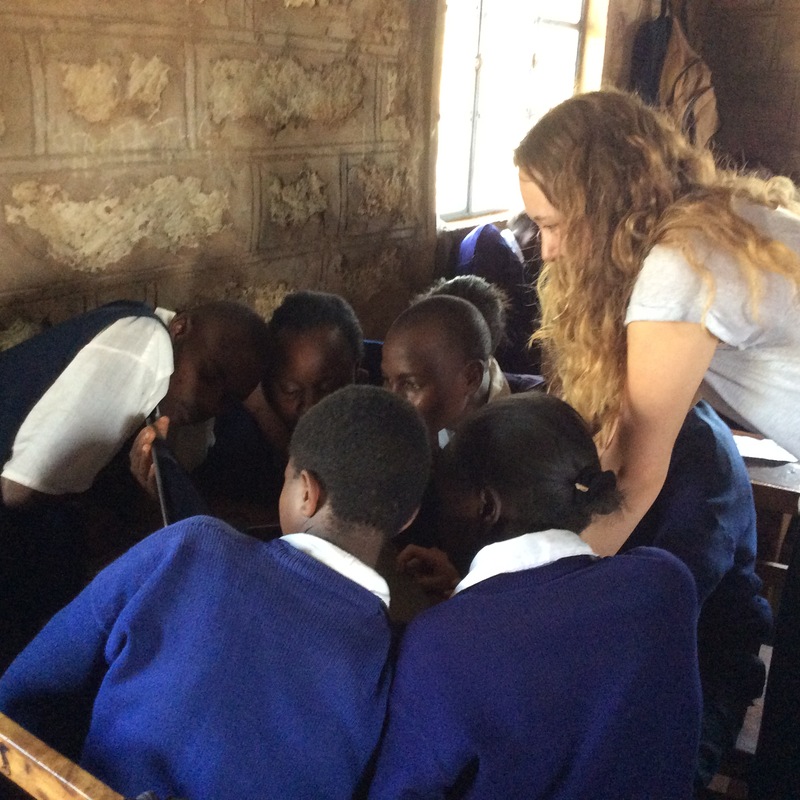 We are learning a lot about the wildlife of Kenya, to say the least! We have seen more “lion love”. 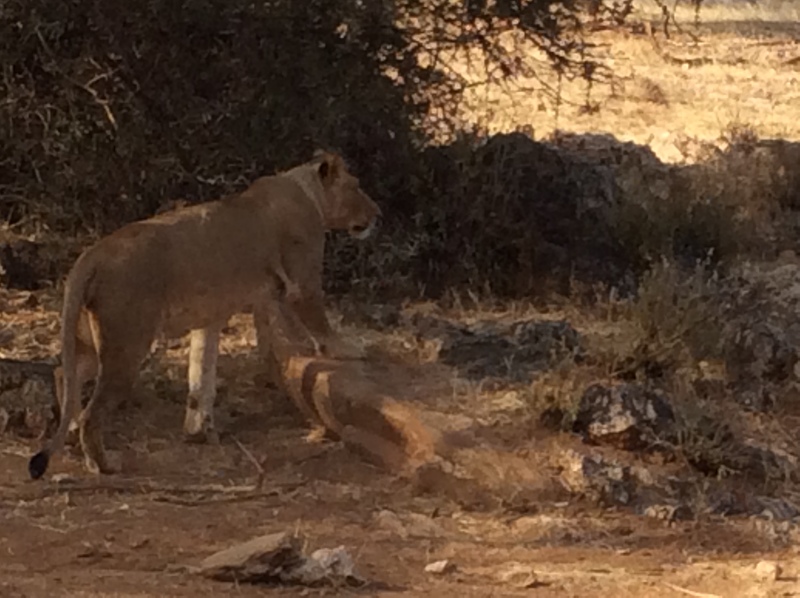 The urge to ensure the survival of the species is alive and well in the lions of Samburu Wilderness Reserve. There are elephant droppings everywhere around the Lodge but none tried to break into the compound last night. But Kelsey and Kelly apparently saw one by the pool yesterday — and the droppings are still there to prove it. And there are elephant footprints everywhere. 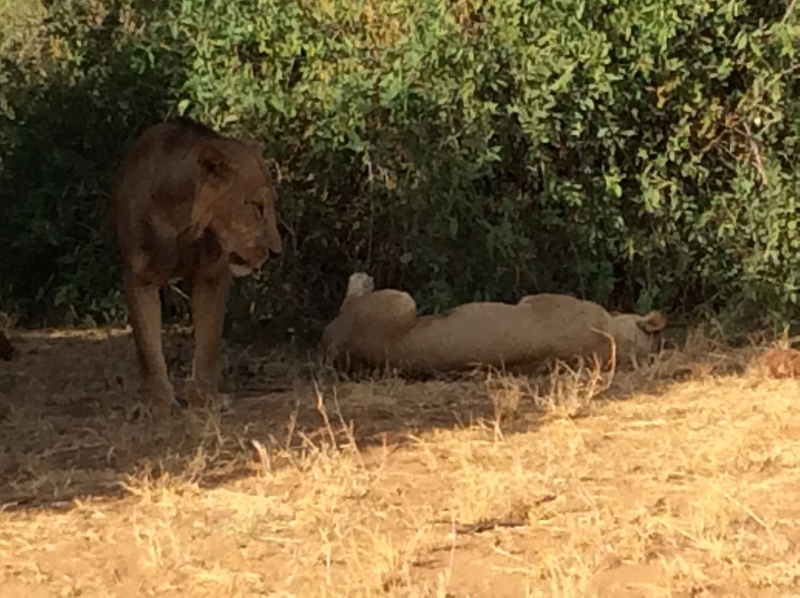 We have seen 14 lions on our two official drives, plus the ones we saw on the way into the Lodge. We also had a great moment today walking on the grounds and looking at the river. First there were giraffes, then zebras. Then an elephant strolled down and started to drink. And then a herd of gazelles! Here are more photos. We head on a drive again at 4. In the meantime, we’re having a buffet lunch and then pool time. The WiFi is touch and go so if you get this, we have lucked out! The Samburu Wilderness Lodge is lovely. Our afternoon safari was successful…though we did learn, from experience, that it is mating season for lions on the Reserve. Yep, the lion is NOT sleeping tonight! Also, when we walk to our cabins at night, we are escorted by a security guard because the elephants try to come up from the riverbed and are a potential danger. The Lodge has a sprinkler system and lots of lush greenery so it looks like a smorgasbord to the elephants! We will all be very careful. 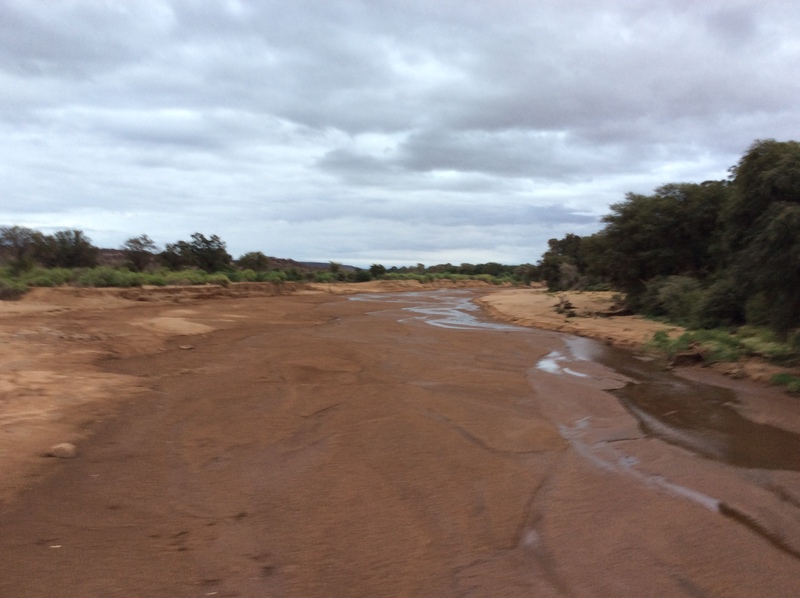 This is another photo from Samburu Village. Still trying to upload safari photos! *photos to come when we get Wifi this evening! We started the day by taking a two hour drive north from Meru towards Samburu county, where we will spend two days on a Game Reserve. The terrain became flatter and more arid as we travelled north. As we got closer to Samburu, we saw our first herd of camels! 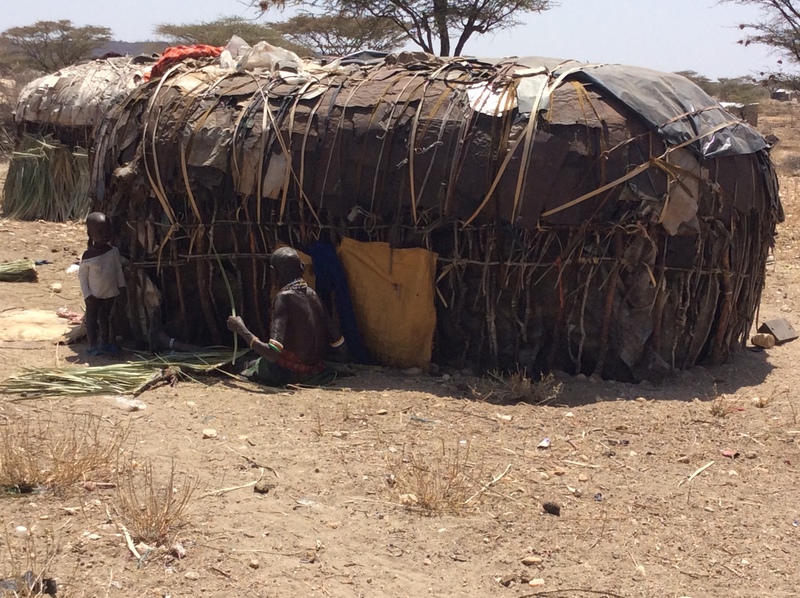 Then we began to see the traditional thatched huts, and herds of goats moving across the arid plain. The signature acacia tree – associated with the Serengeti Plains – are everywhere. 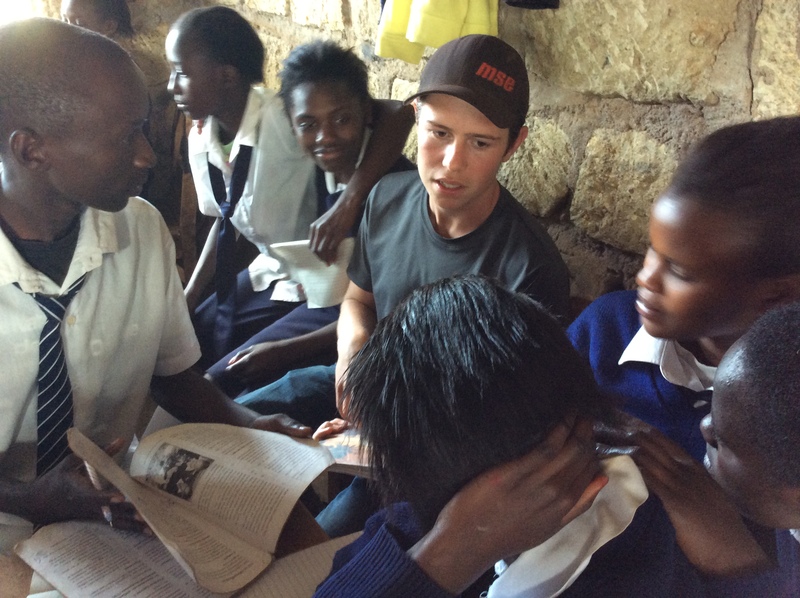 We made a one hour stop at the Samburu Village. It’s a traditional village where they welcome visitors as a way of generating revenue for their tribe. We were invited to wear a neck dress and dance with them. 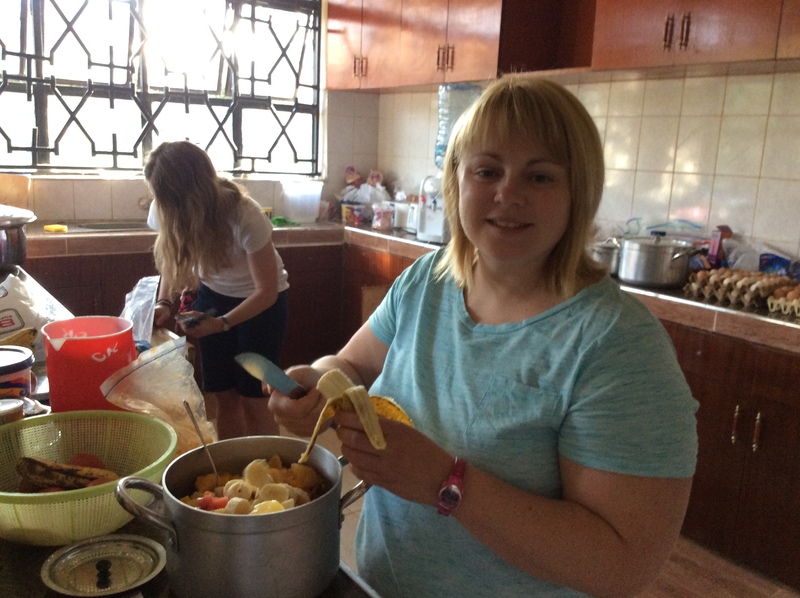 Then we toured their homes, saw the outdoor class where their children learn and then were encouraged to purchase some of the beadwork and other crafts that they have made. 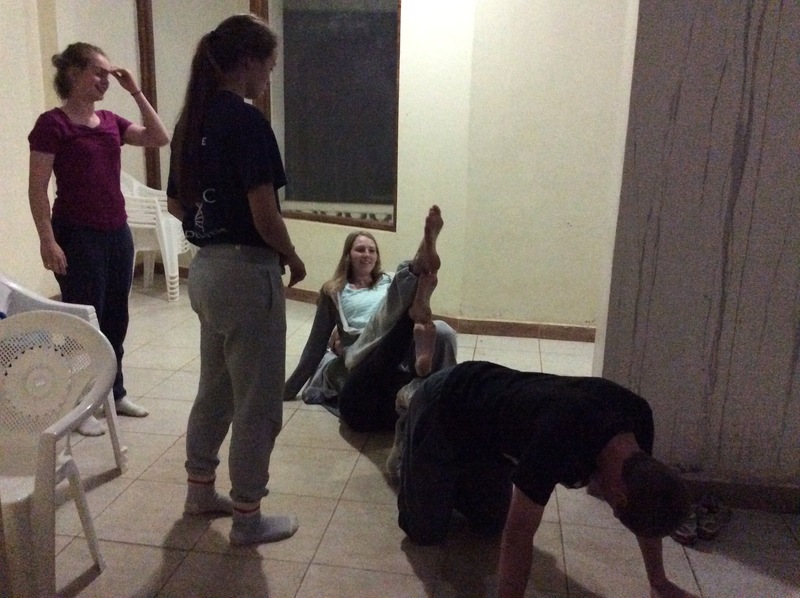 The tour wrapped up with a demonstration of how they can make fire by rubbing a stick in goat dung. 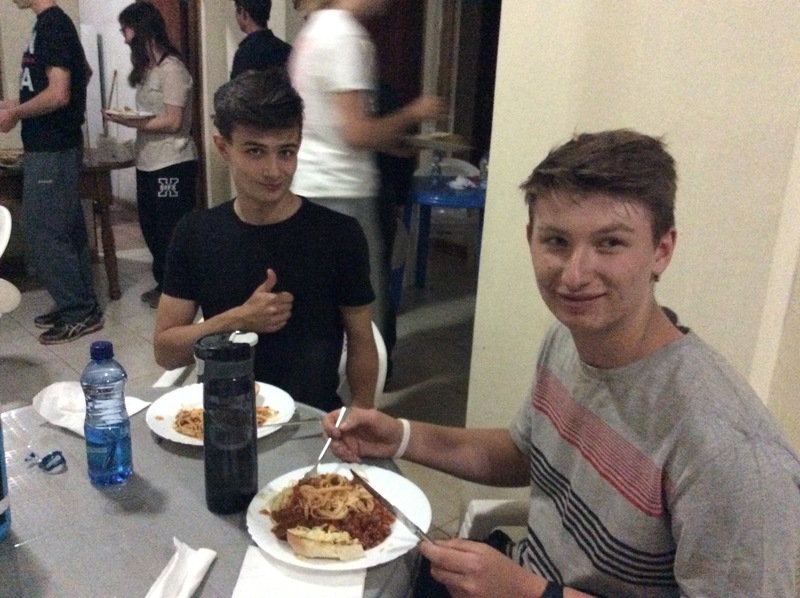 When we got back to the Combis after touring the village, David and George had the tops popped on the vehicles. 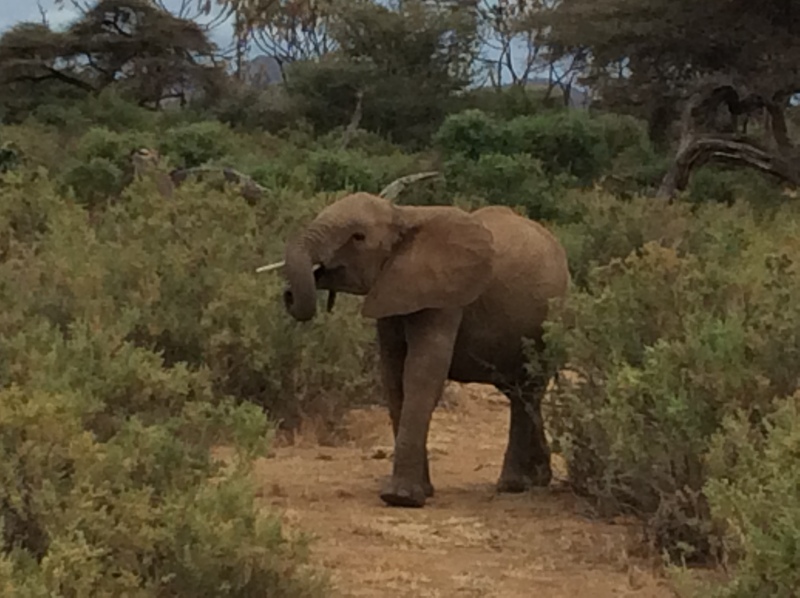 A few minutes later, we were entering the Samburu Game Reserve. We weren’t sure what to expect. 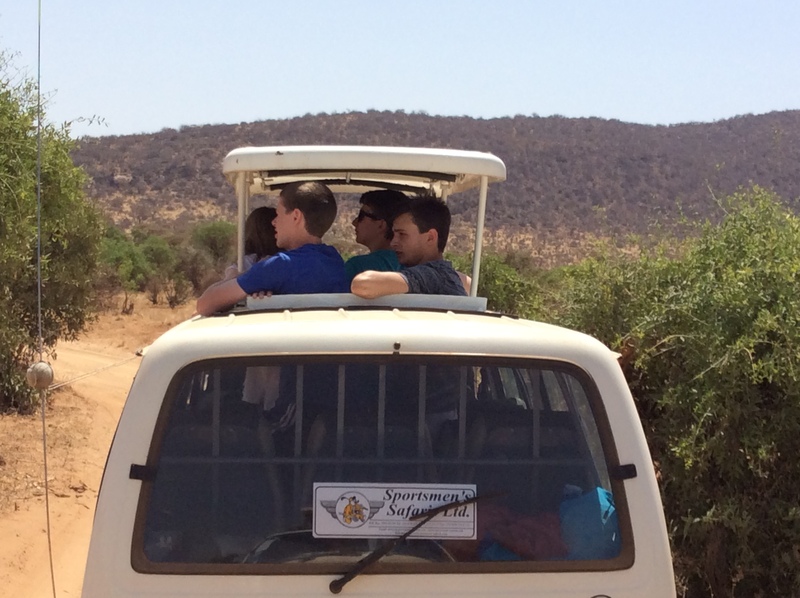 But after just a few minutes of driving, we spotted our first small animals – gazelles and guarana (spelling). And then we hit the mother lode! 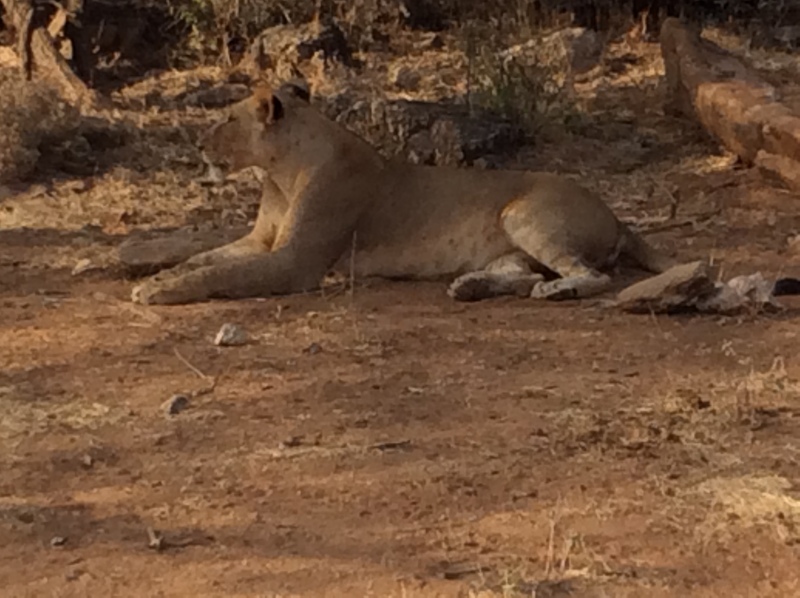 We saw a couple of vehicles stopped ahead…and there were 3 lions sleeping in the shade, not far from the road. Around the next turn was a huge herd of elephants. 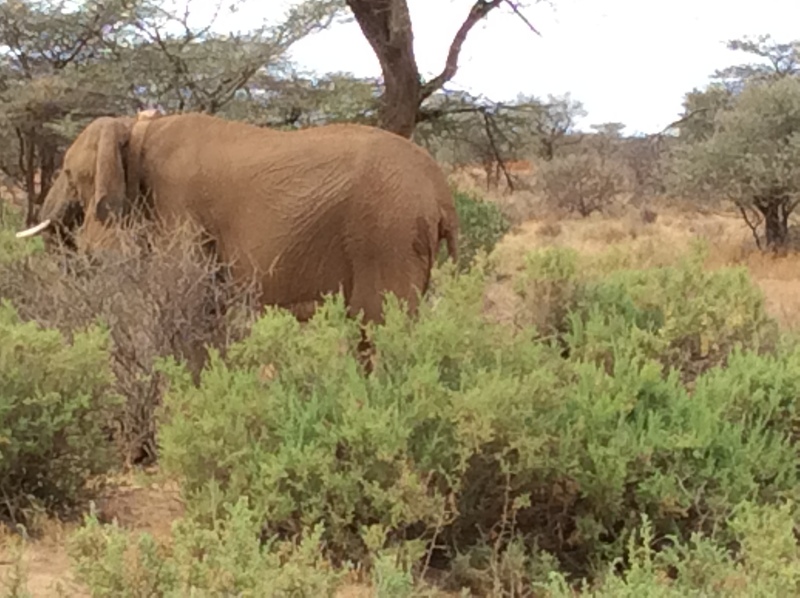 We even caught a glimpse of a lion…before one of the big elephants chased it away. Around the next turn, zebras close to the road. Warthogs crossed in front of us. Then a big giraffe. And that’s before we even go on safari! The Wilderness Lodge is lovely and we are divided into cute little cabins. The one that I’m sharing with Carolyn has a deck overlooking the watering hole. Already we have seen a large group of baboons strolling past. And there are monkeys EVERYWHERE!!!! The kids have had to chase them away from their doors to get in already a few times. We head on our first official “drive” at 4 o’clock sweeping around the park looking for animals heading to their watering holes. And just a note for families – there is Wifi at the resort for certain hours of the day. So we should be able to check in on a regular basis. 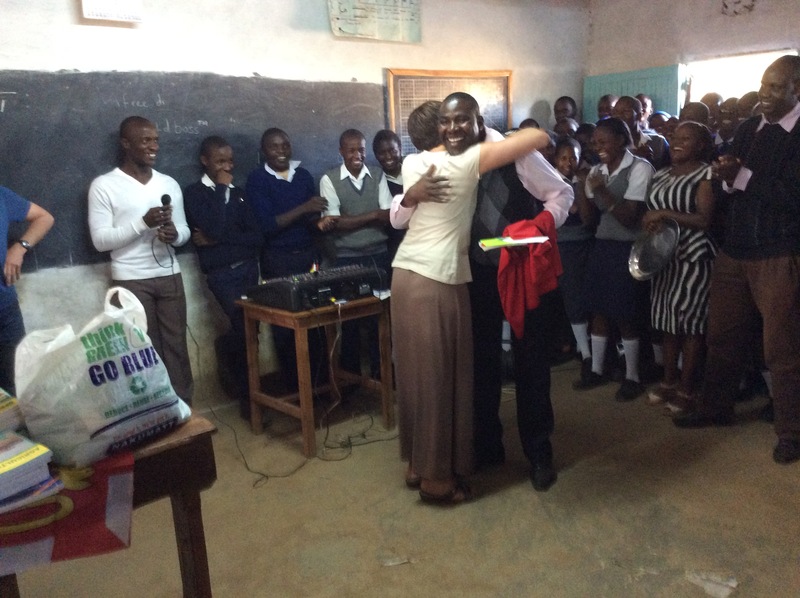 Kwaheri – bye for now! PS Apparently they feed the crocodiles food scraps every day at 7:00. I may or may not check that out!